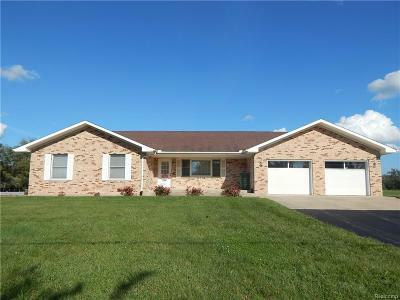 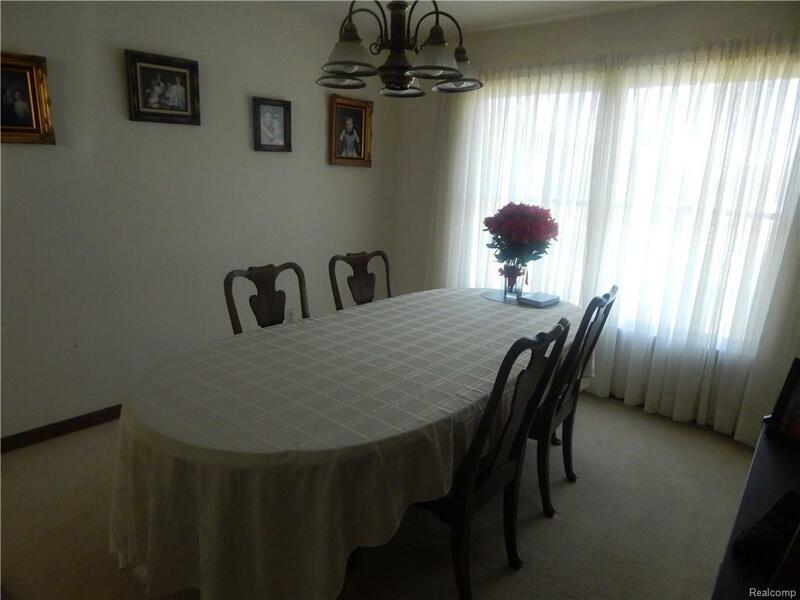 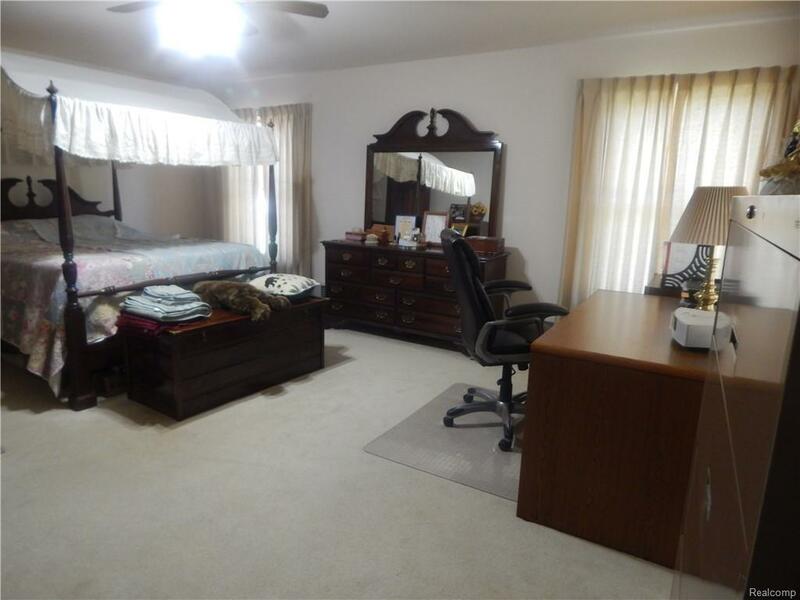 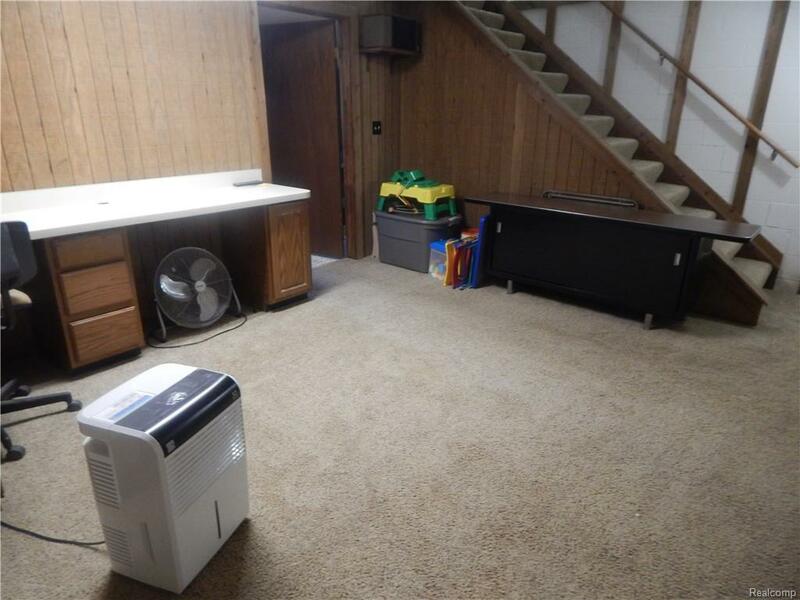 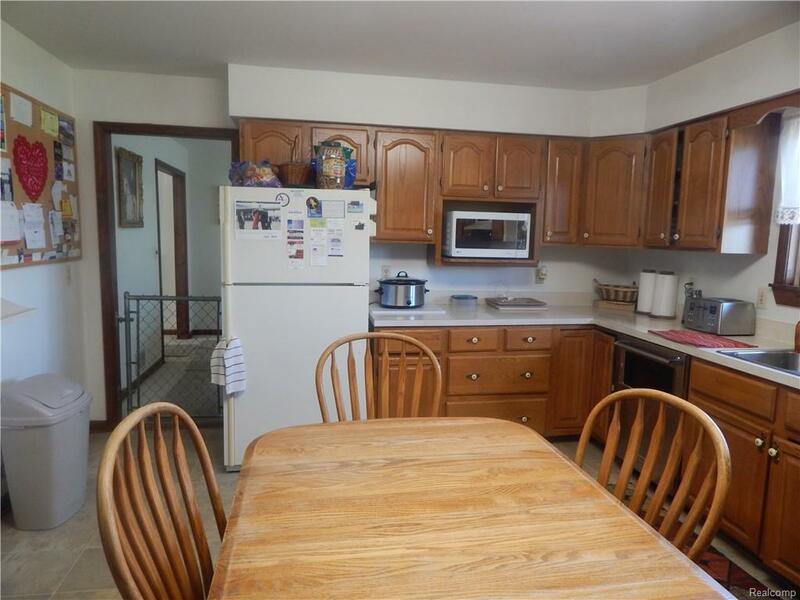 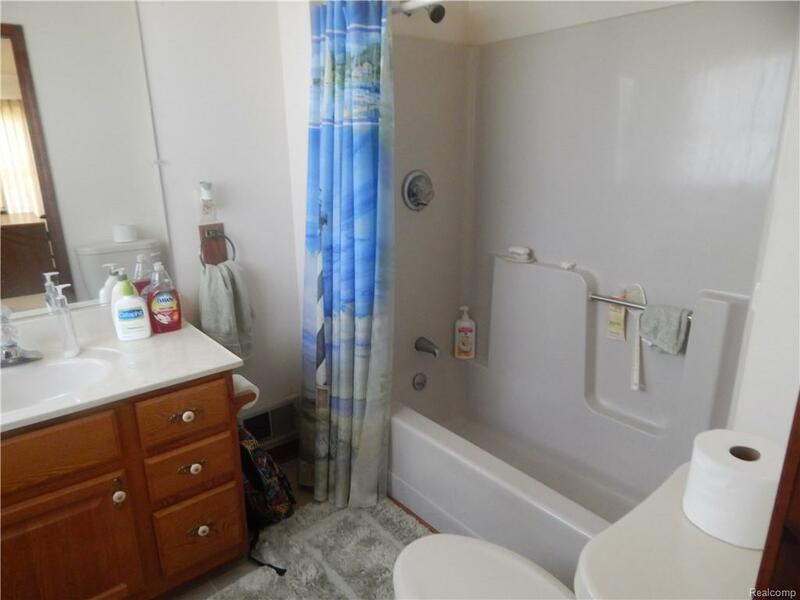 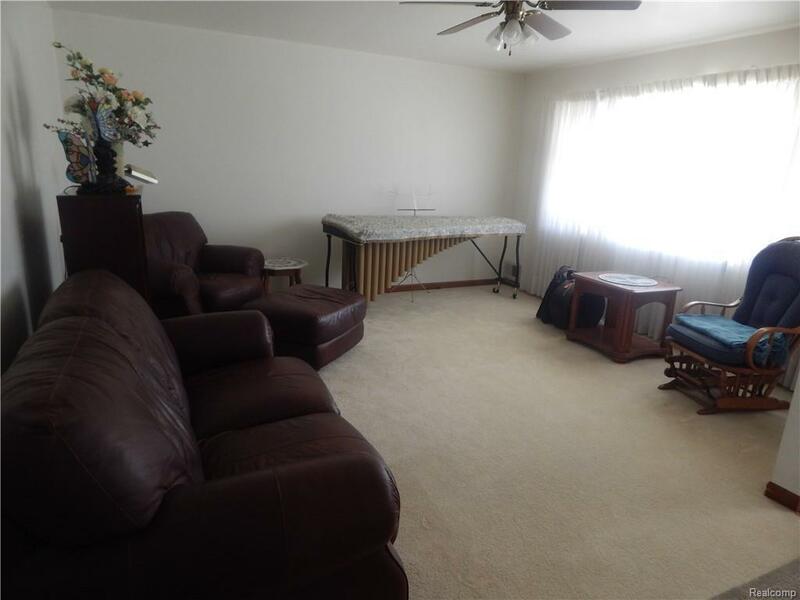 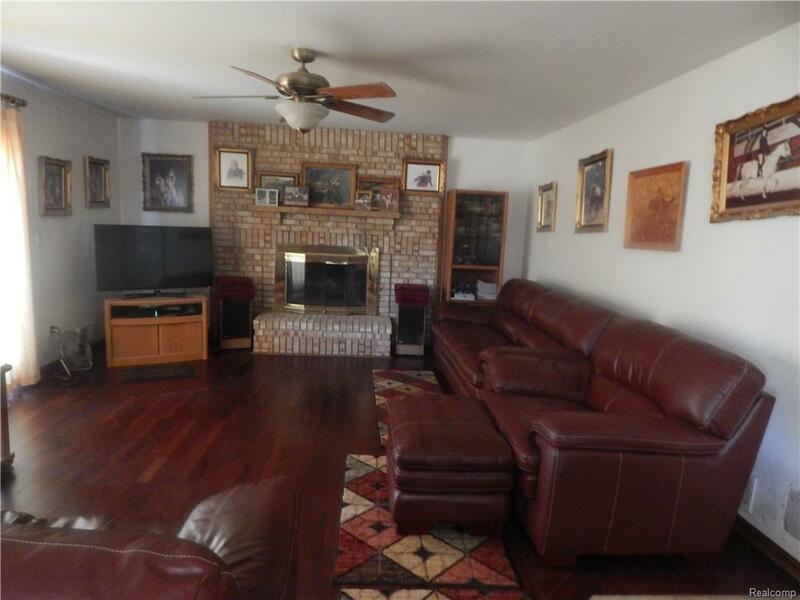 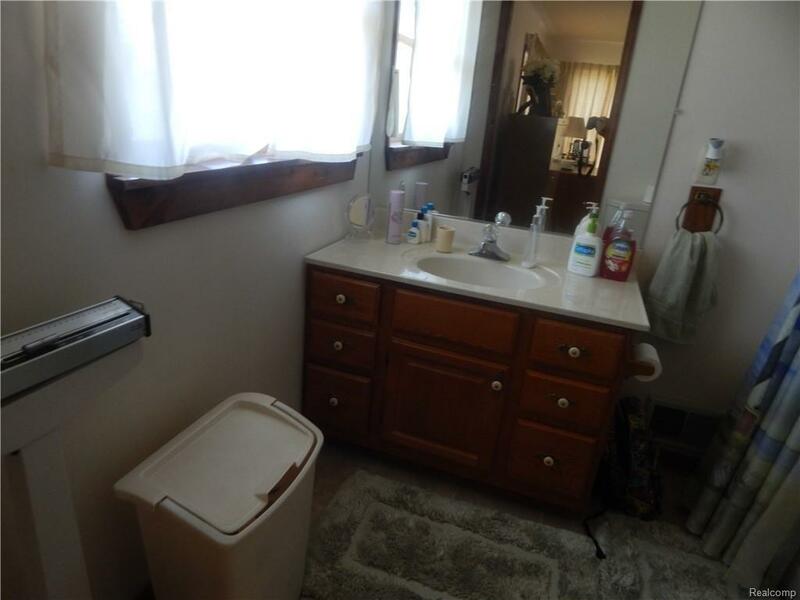 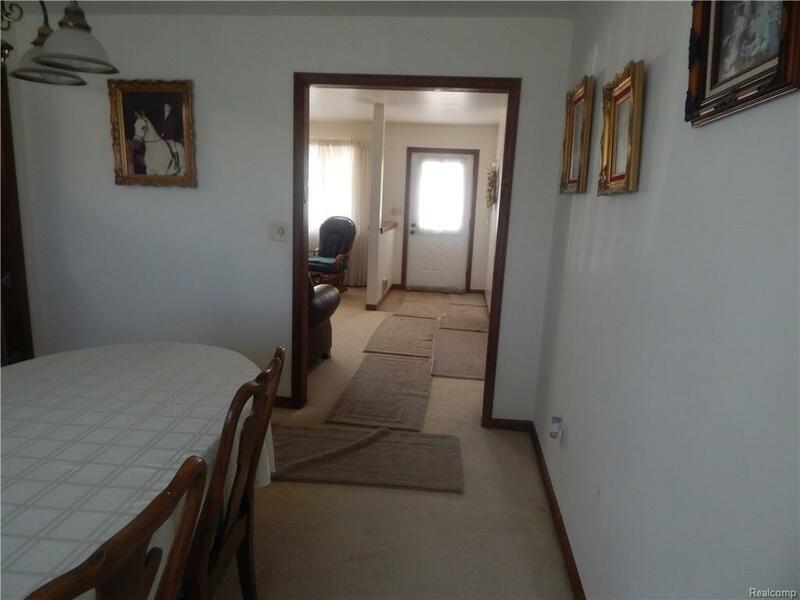 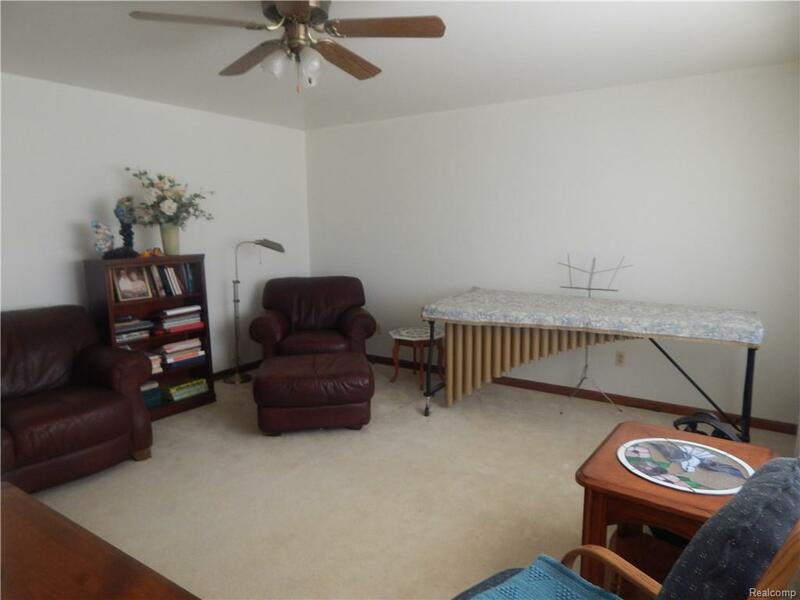 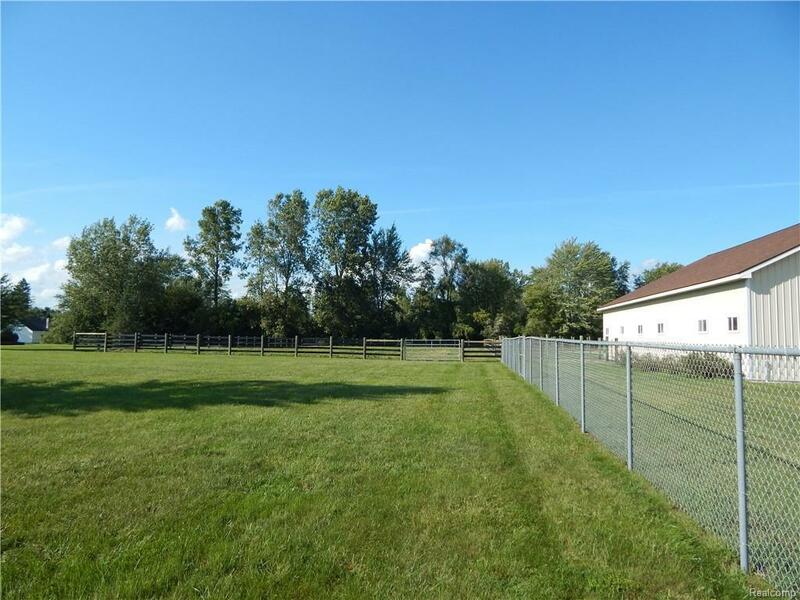 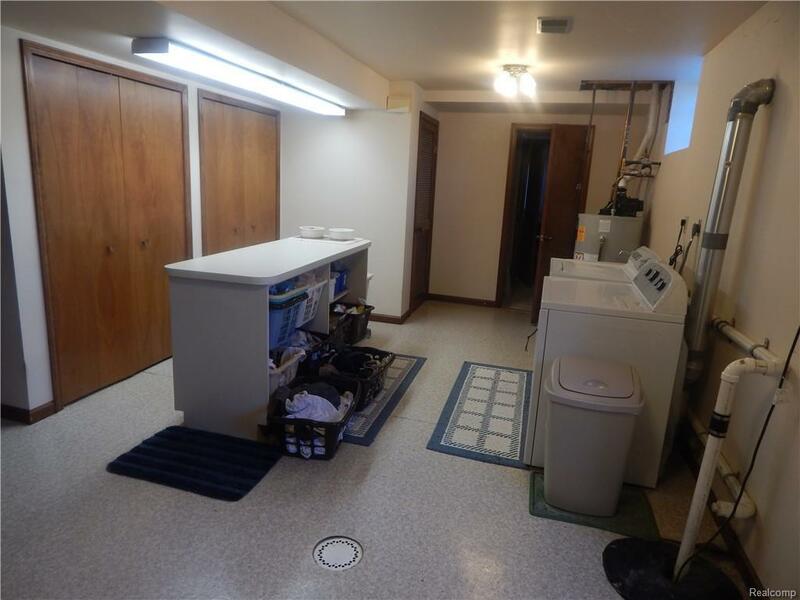 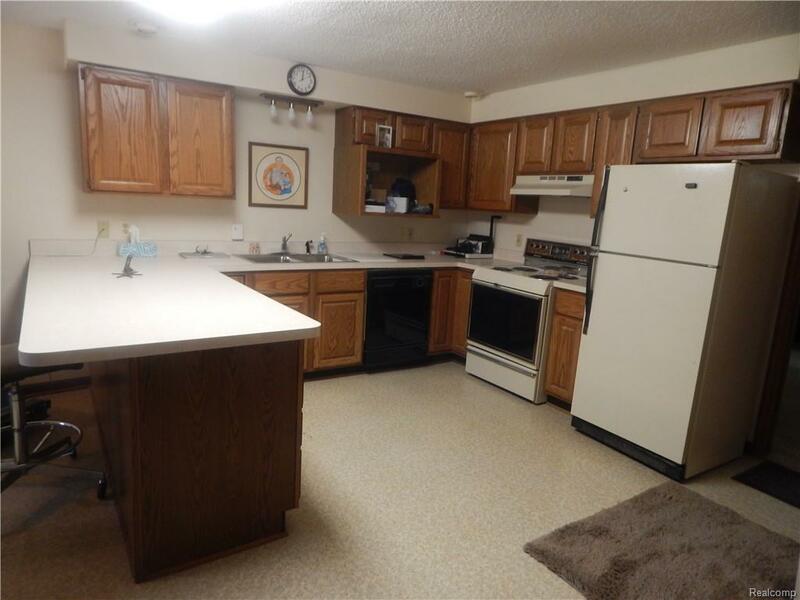 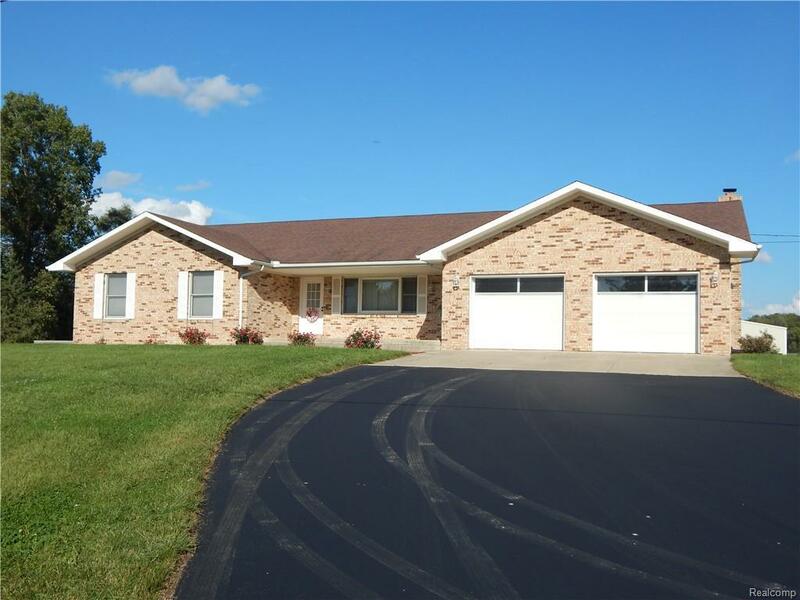 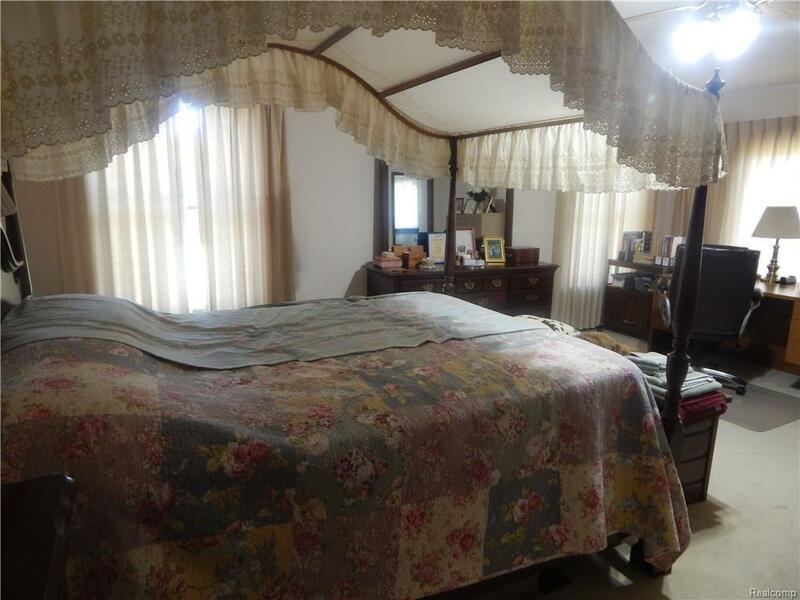 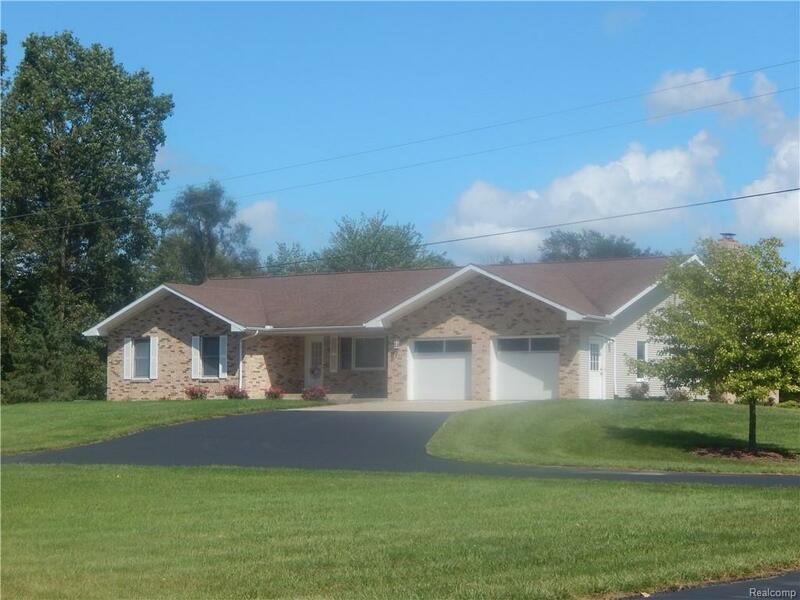 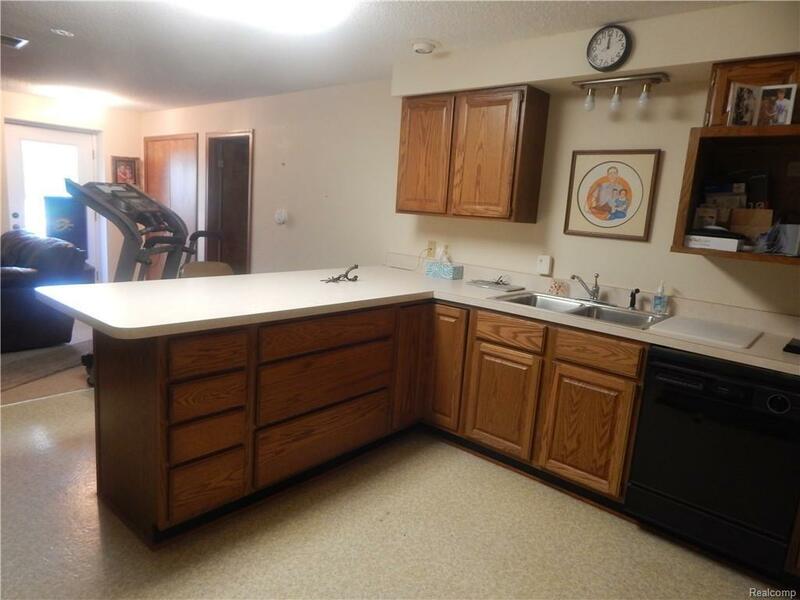 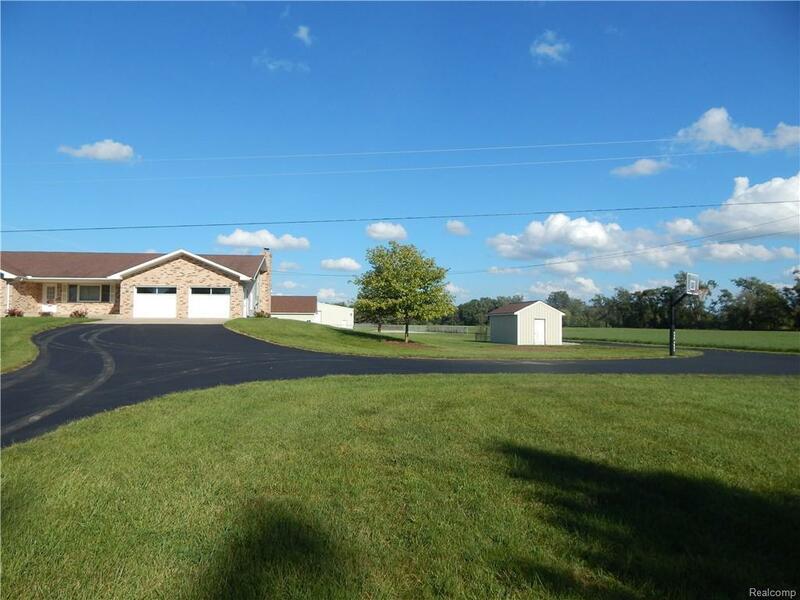 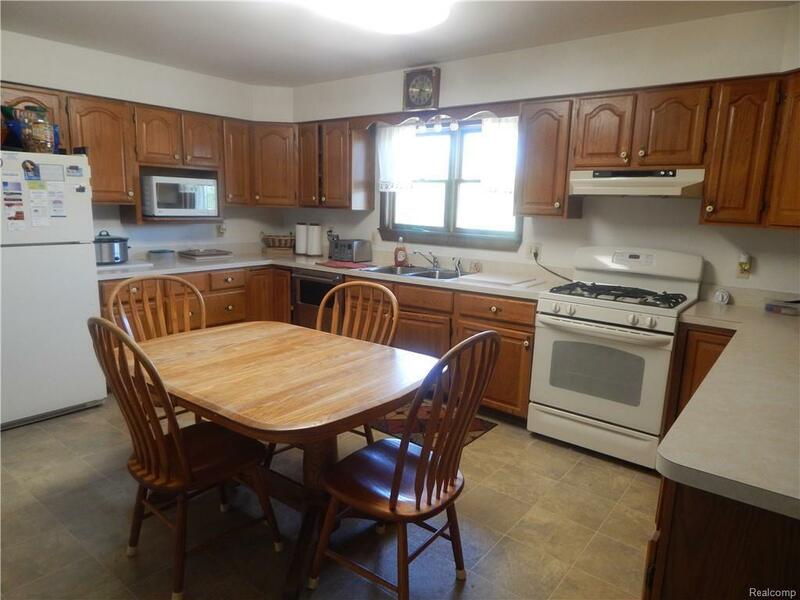 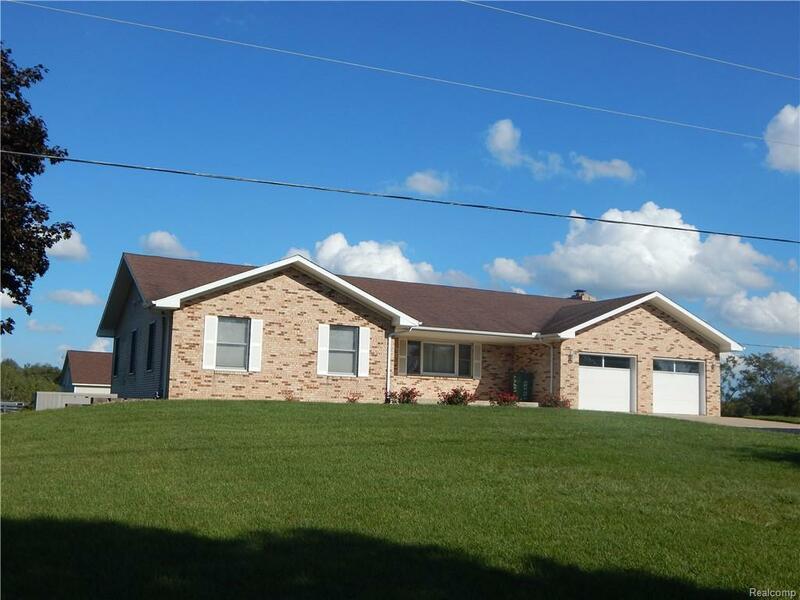 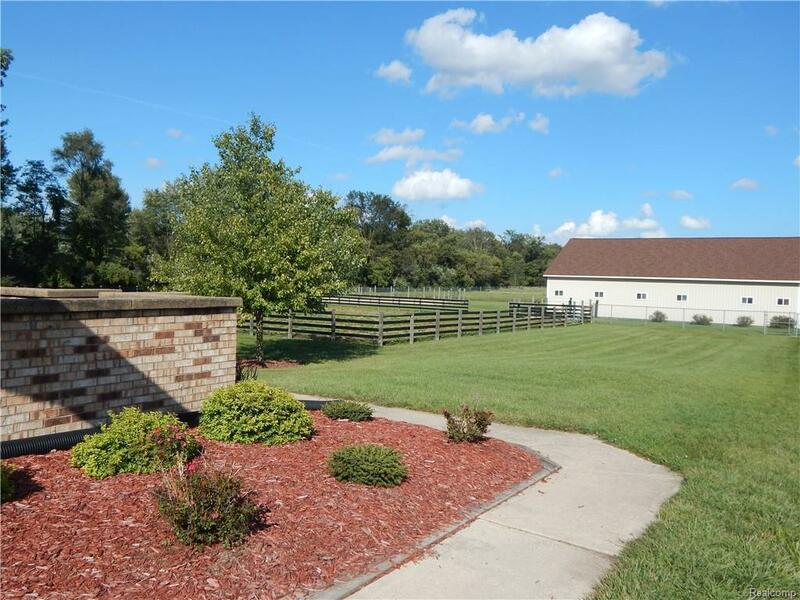 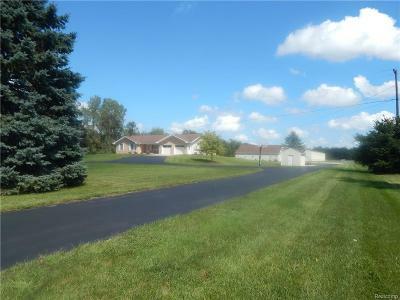 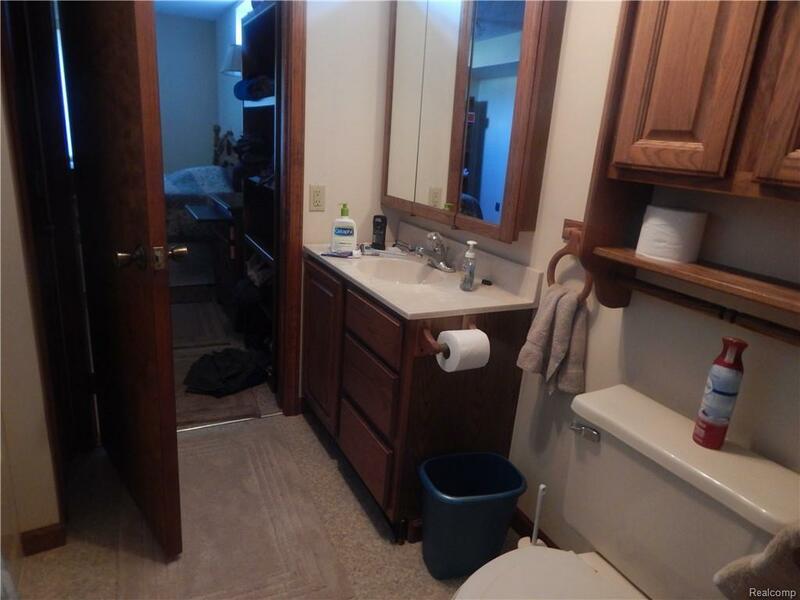 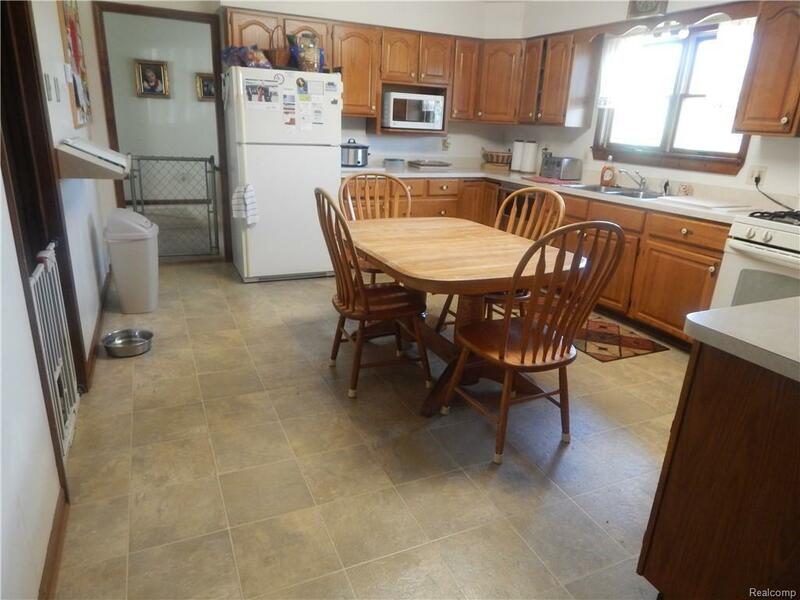 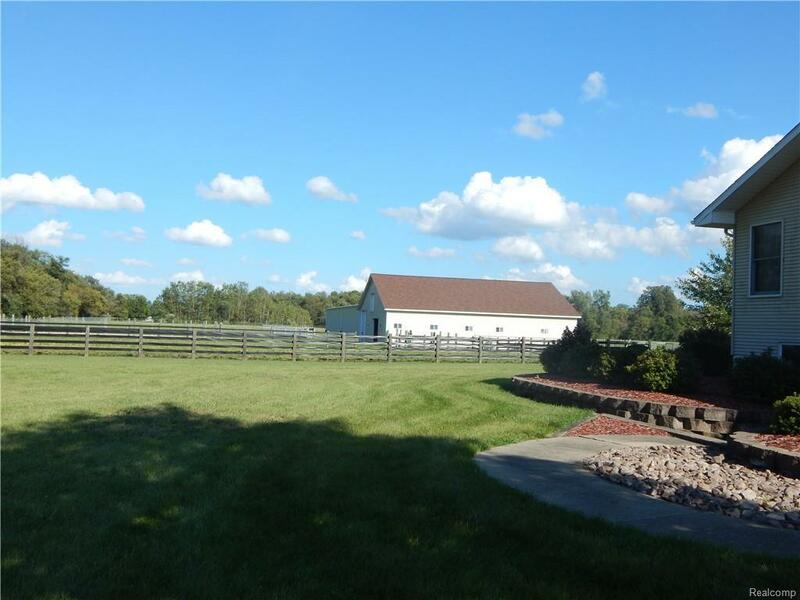 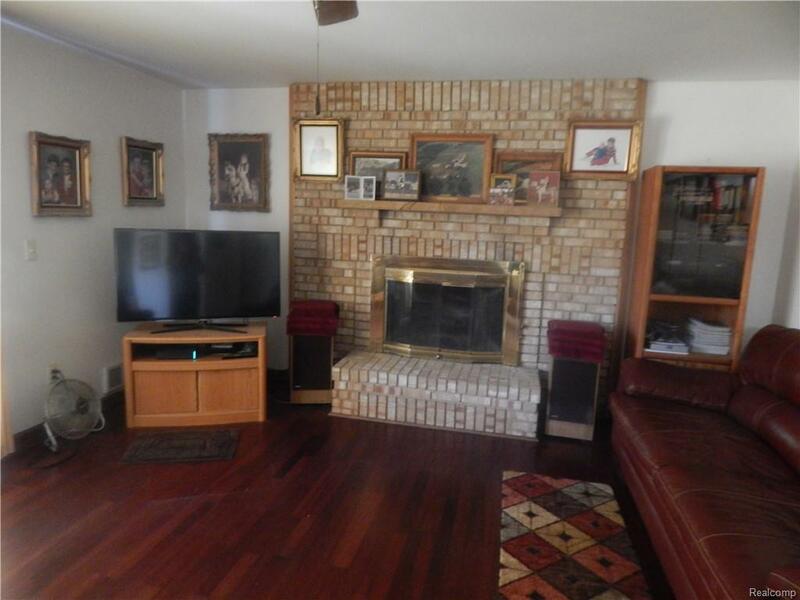 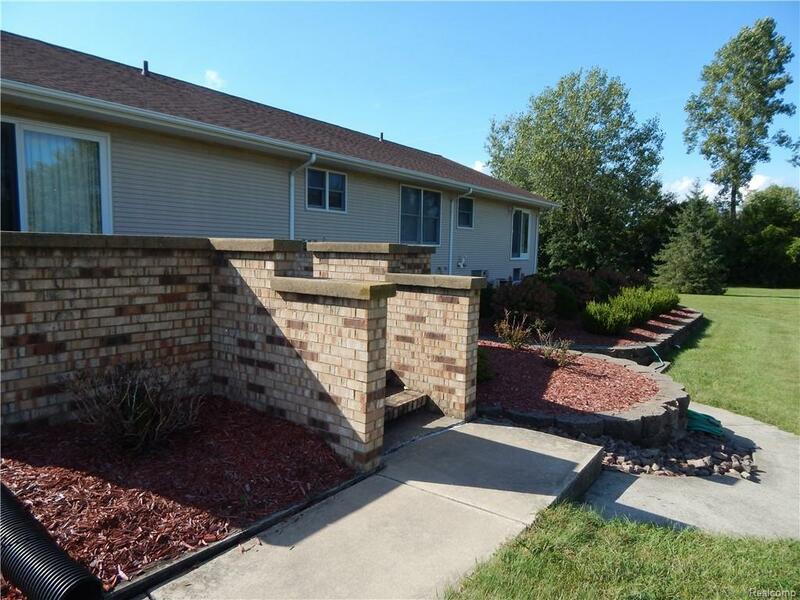 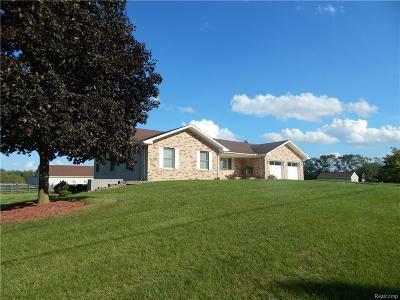 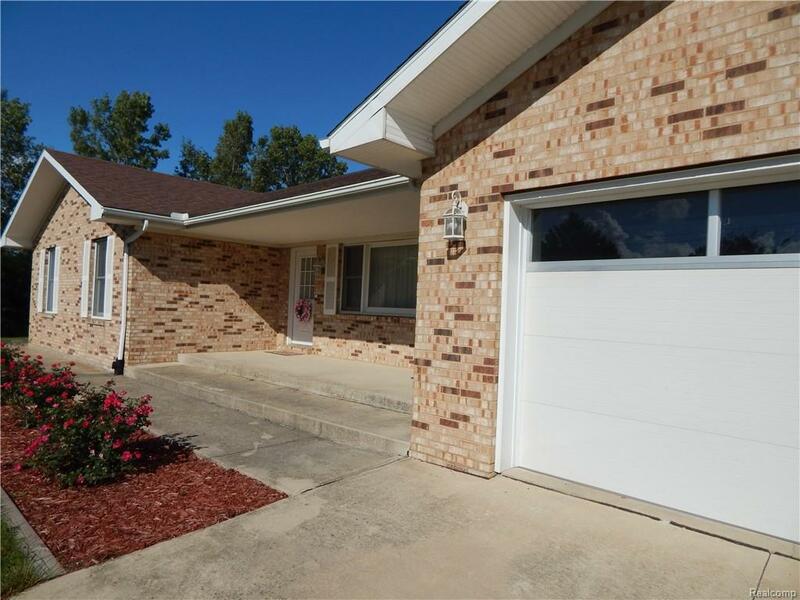 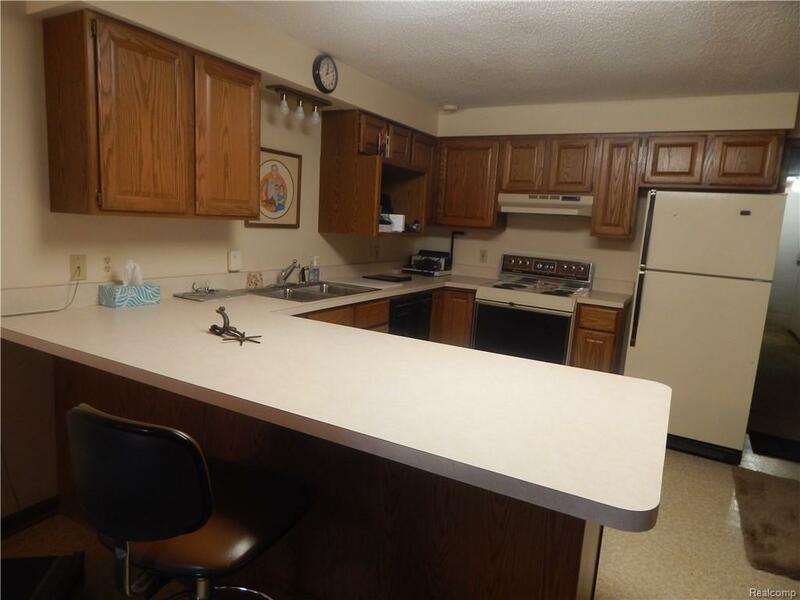 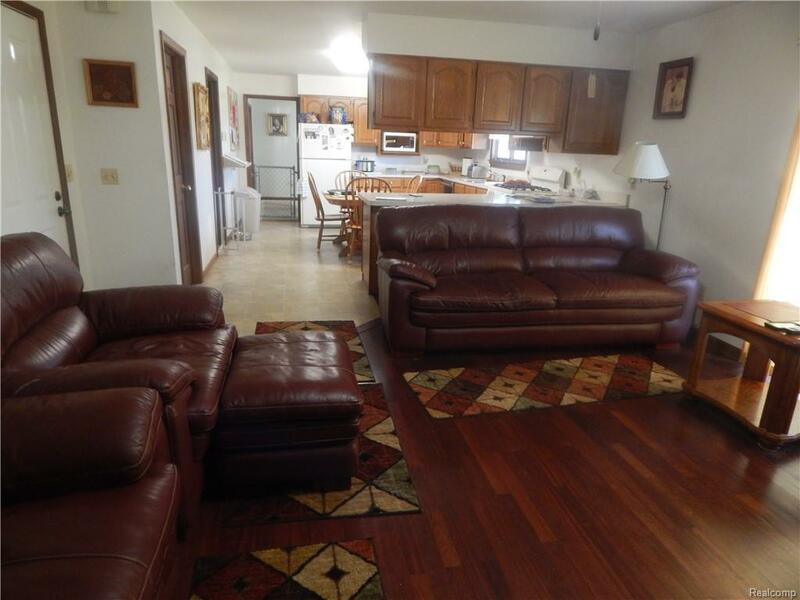 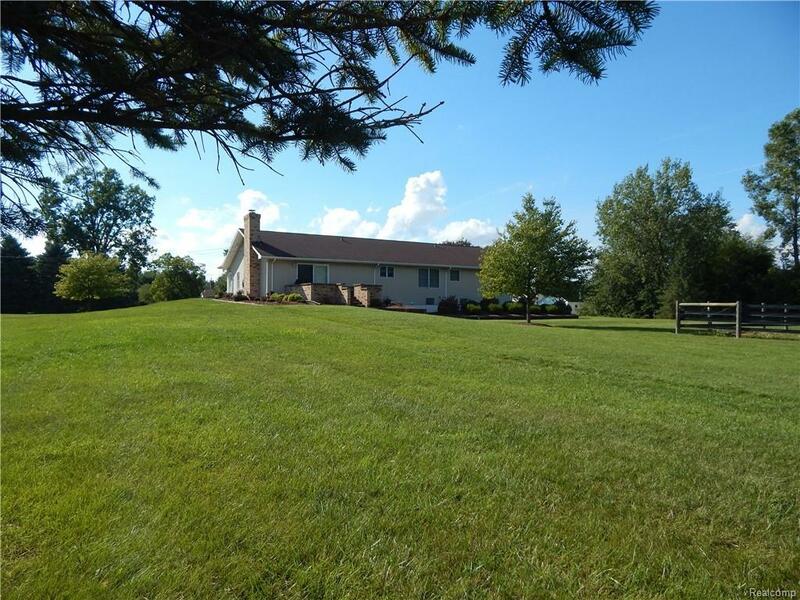 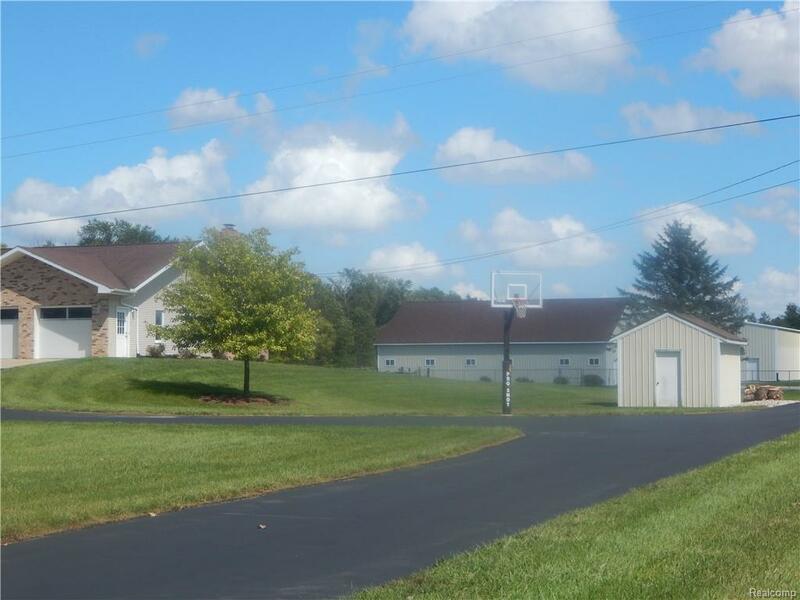 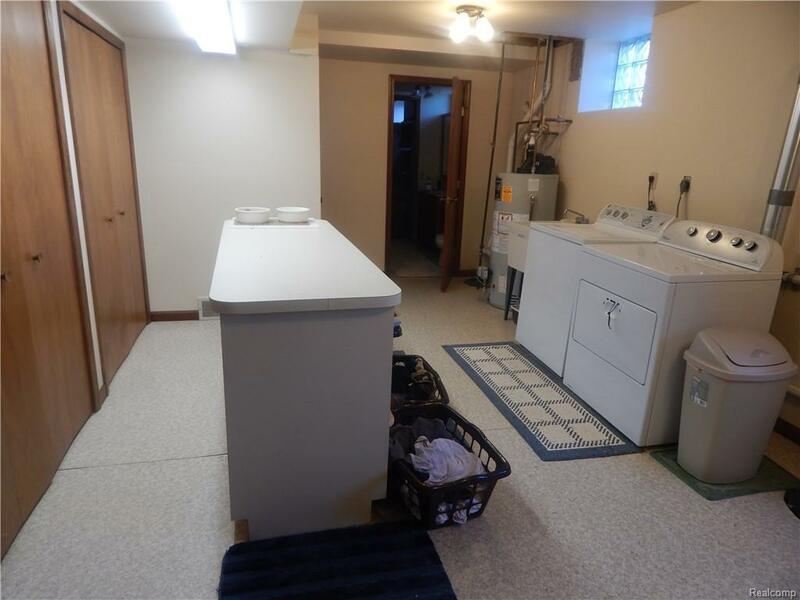 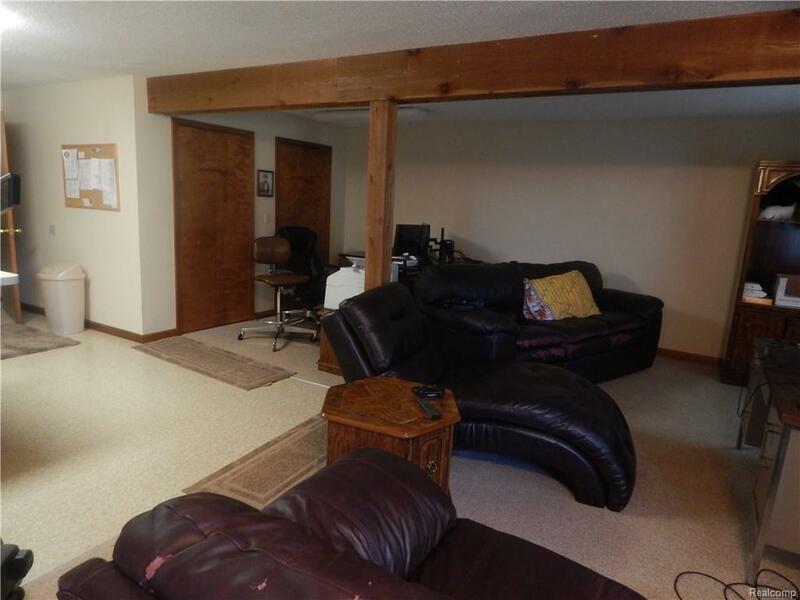 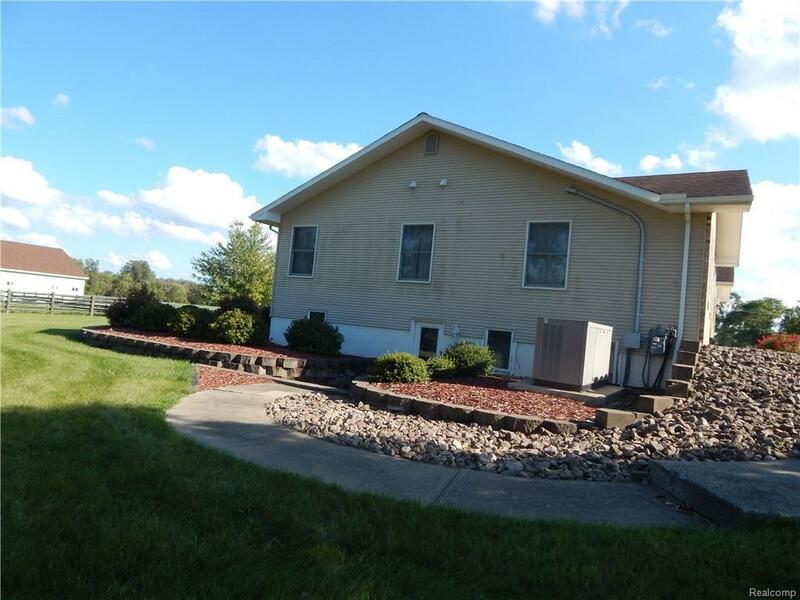 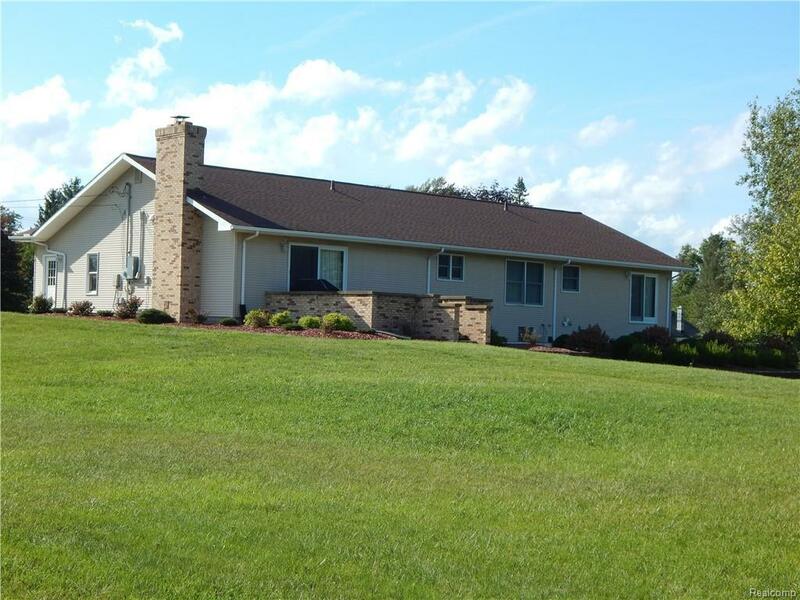 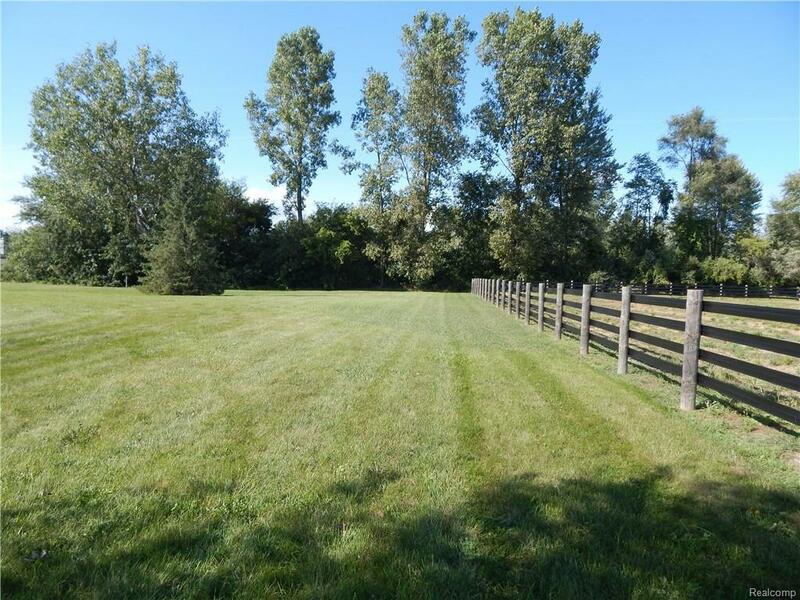 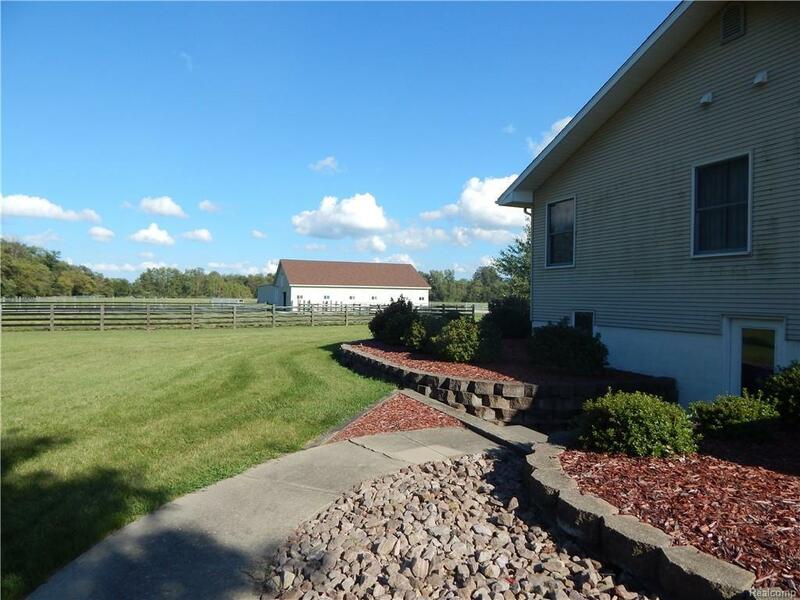 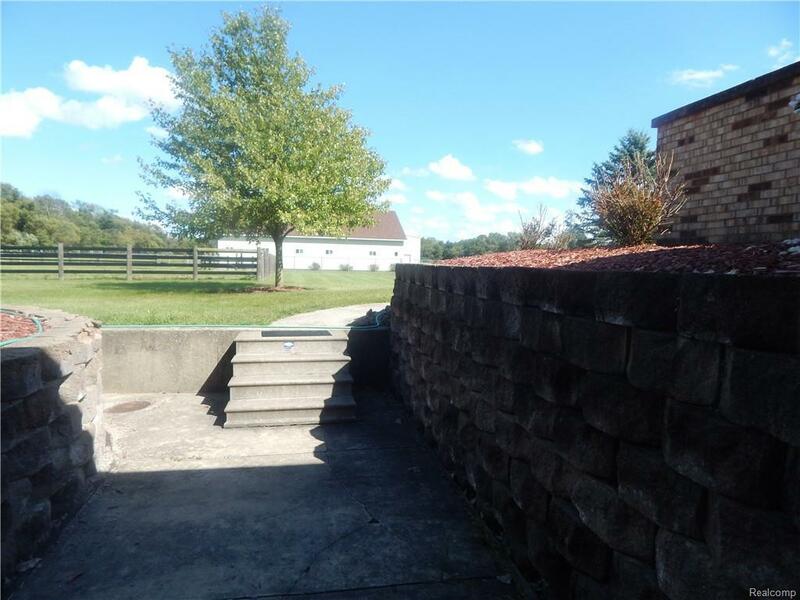 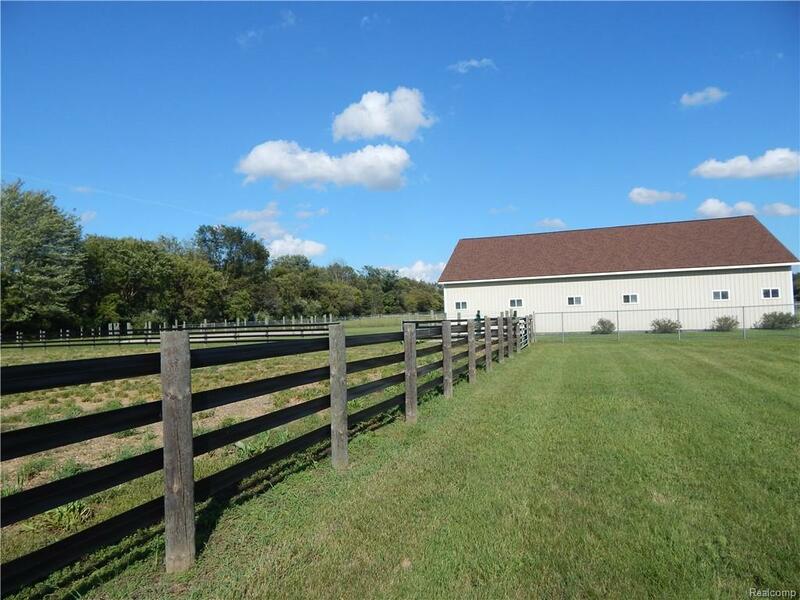 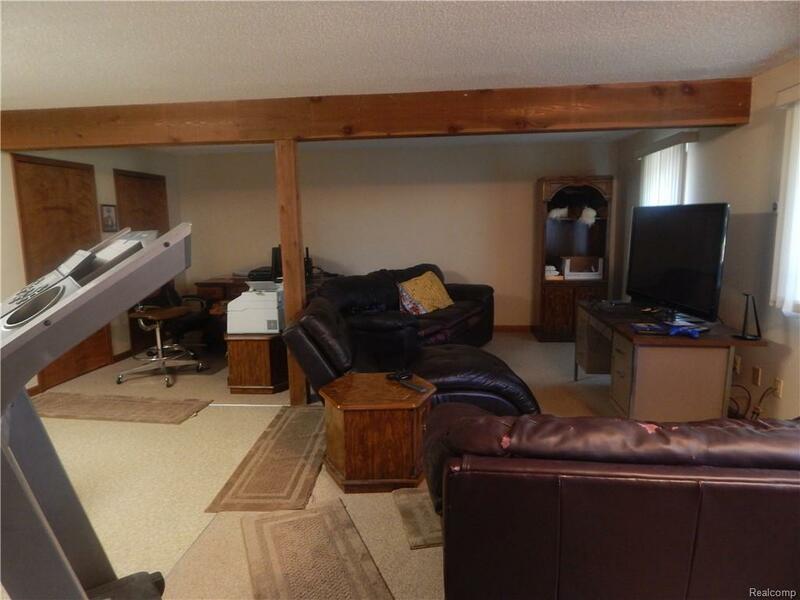 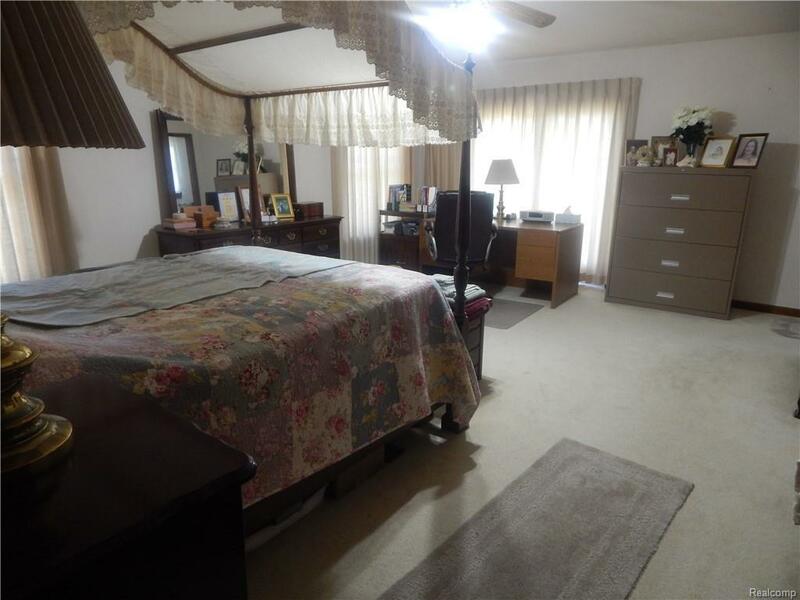 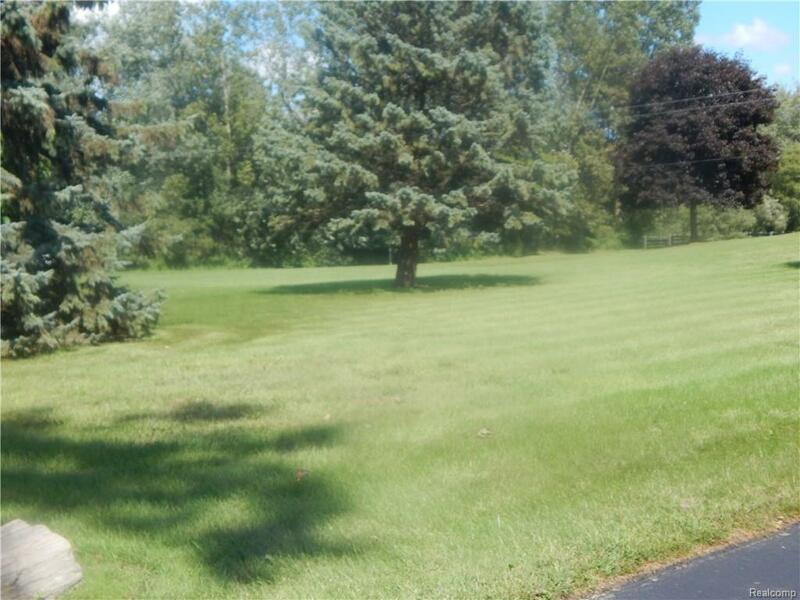 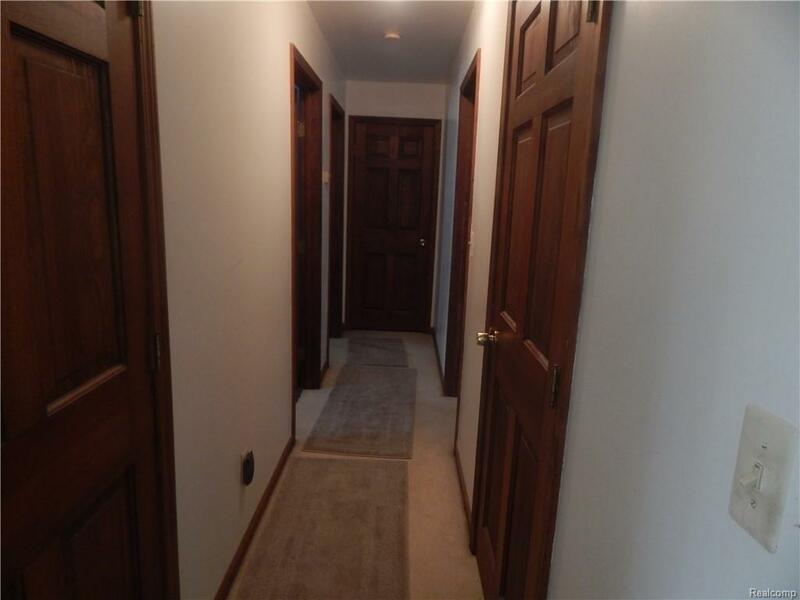 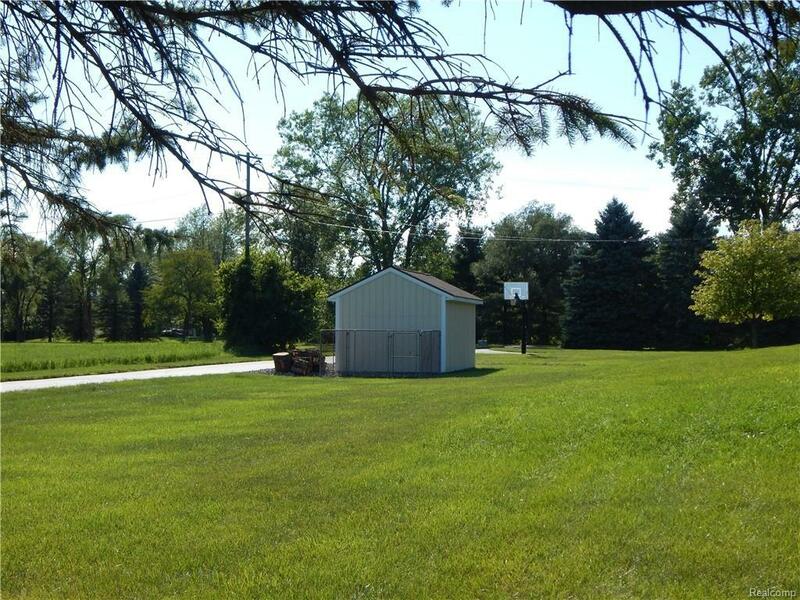 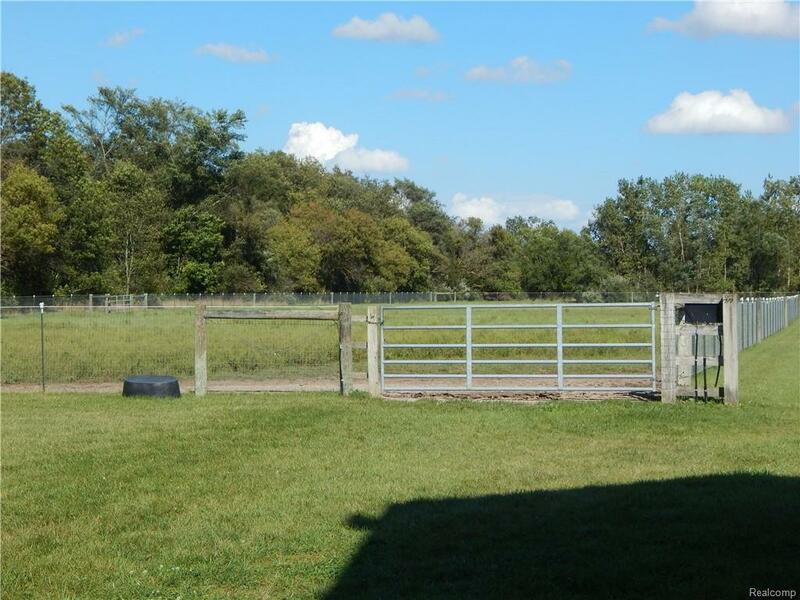 HORSE FARM/ BELLEVILLE, MI - Custom ranch w spacious rooms, finished W/O basement w full in-law suite, wood trim & 6 panel wood doors throughout, Andersen windows. 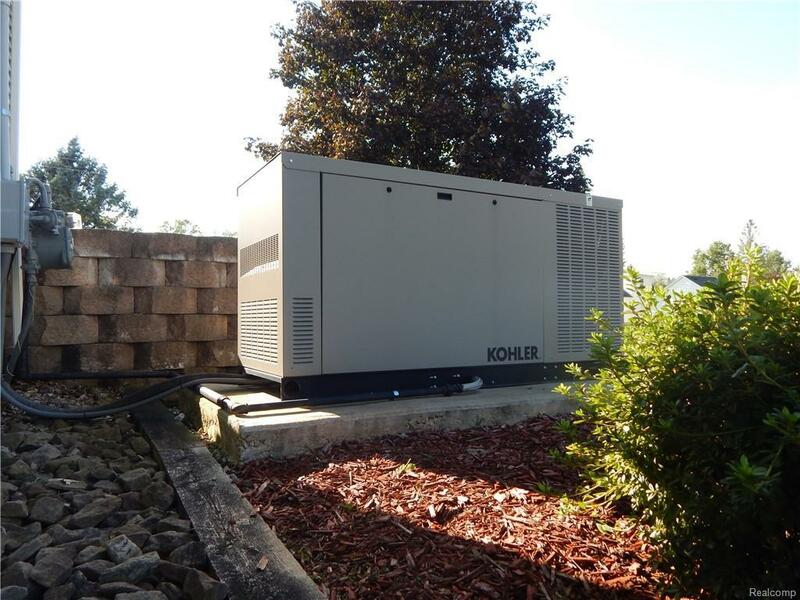 $24,000, quiet, auto KOHLER generator is 35 KW & runs house/barns. 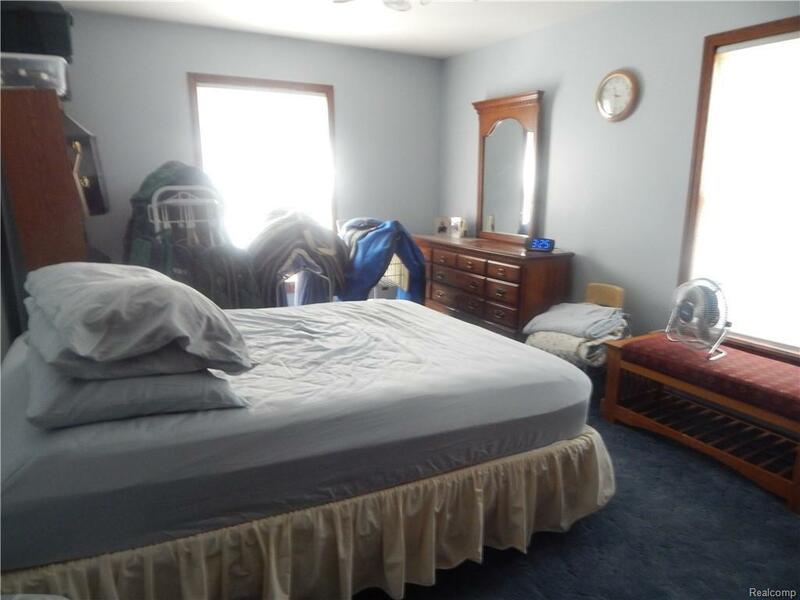 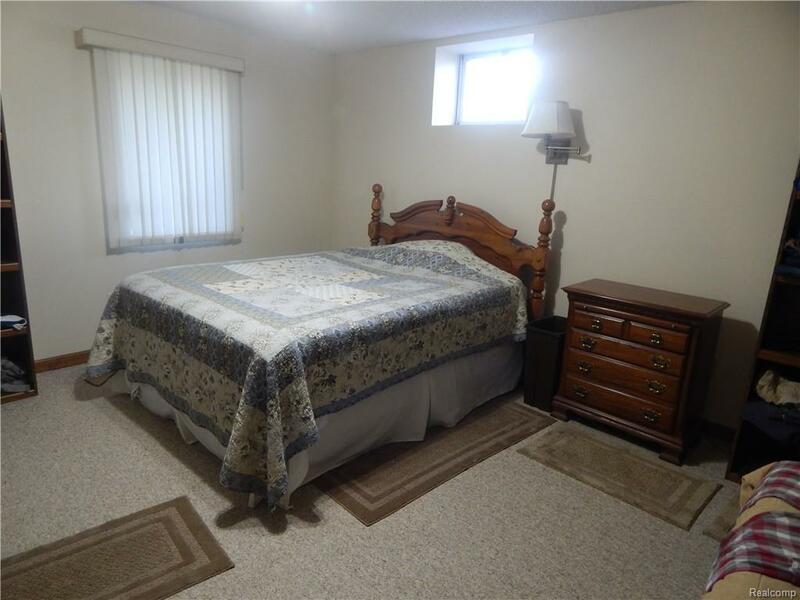 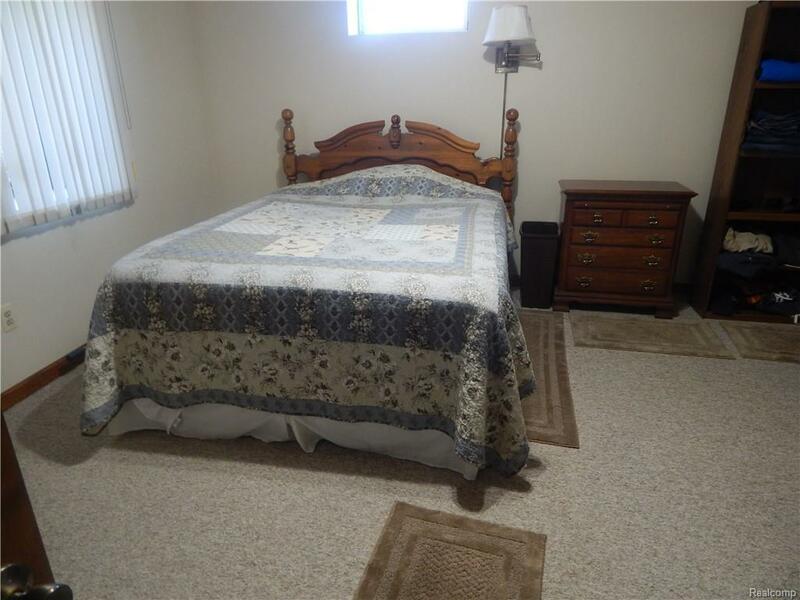 Master suite has W/I closet & doorwall. 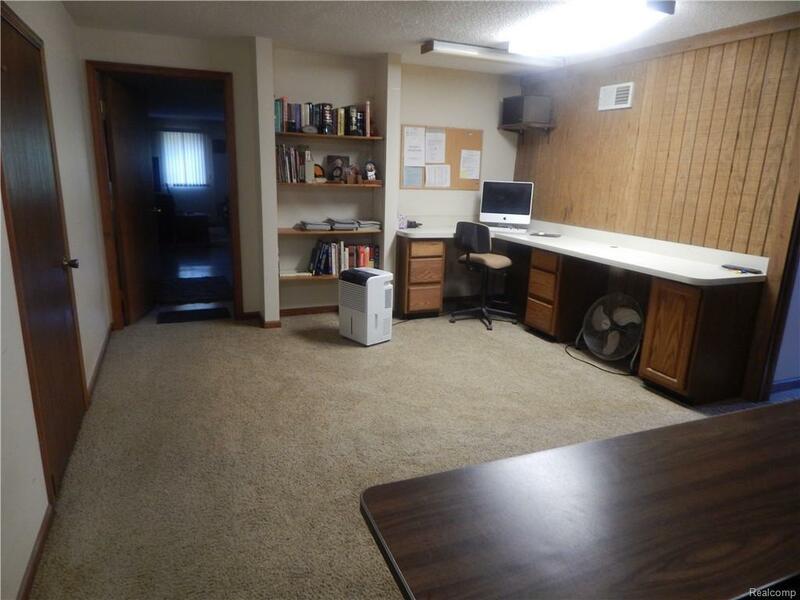 Views from all windows. 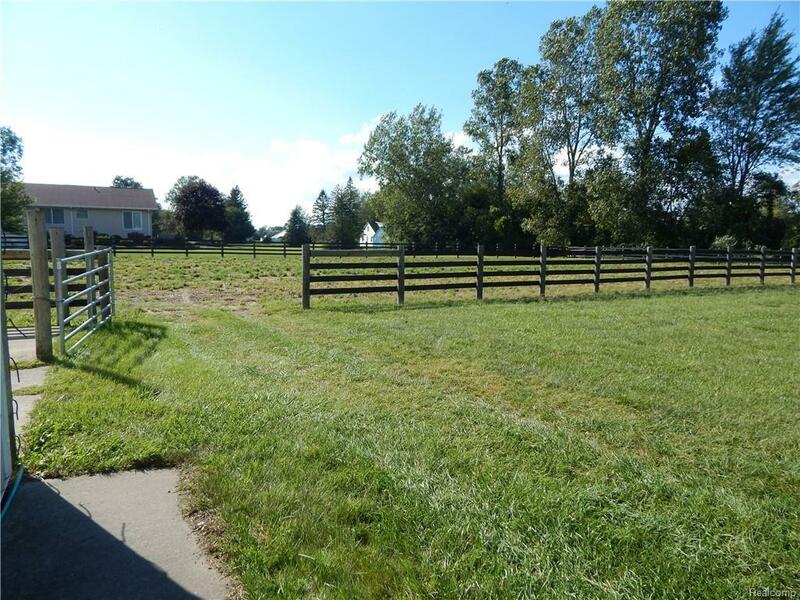 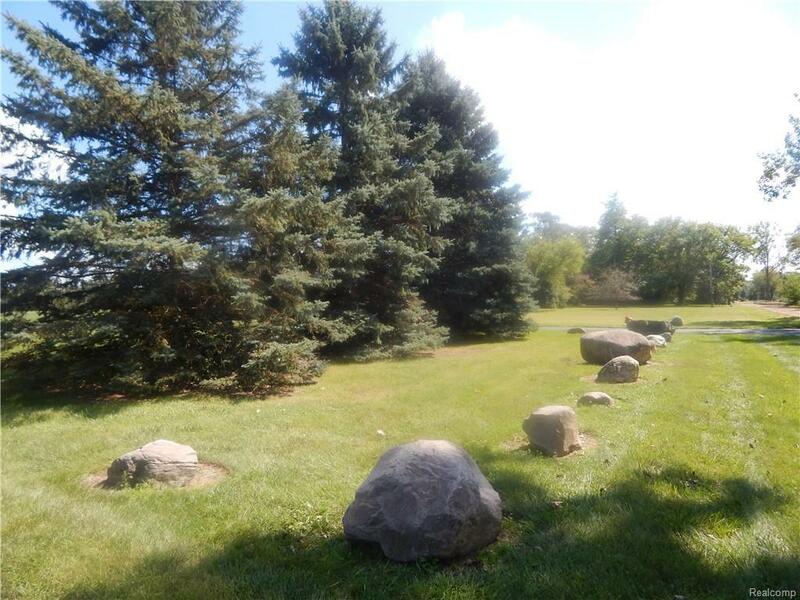 10 beautiful acres, circular driveway resealed September 2018. 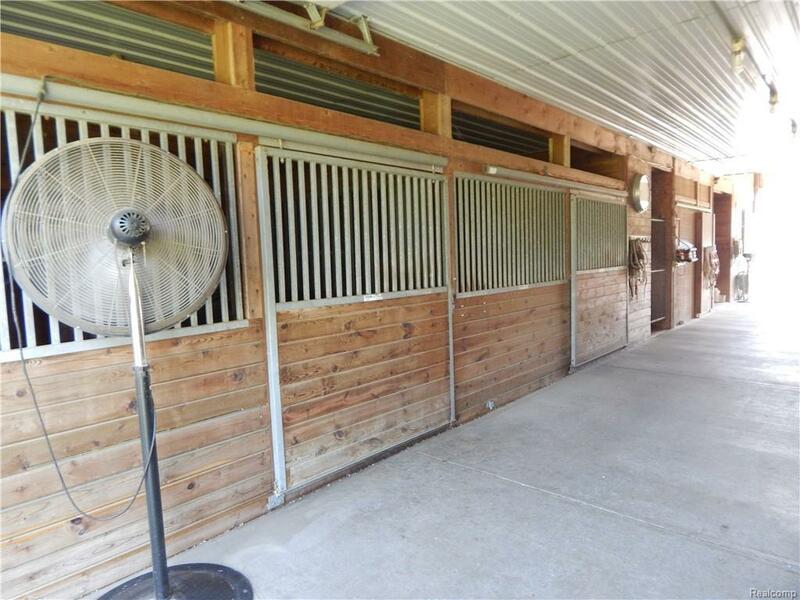 Horse facility is every horseperson's dream! 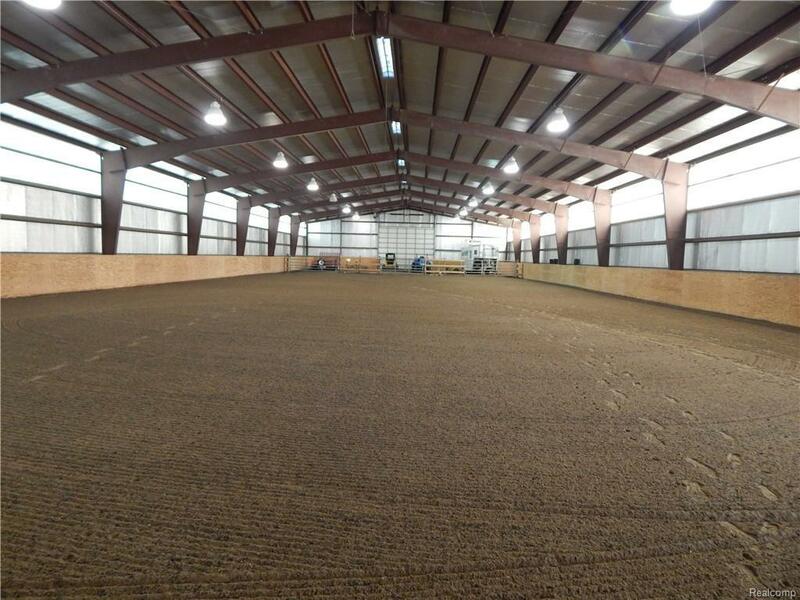 72X200 indoor is steel, clear span, height of 17', block foundation/ratwall, Halite lighting, stonedust base with 3" washed/sand/rubber mix surface. 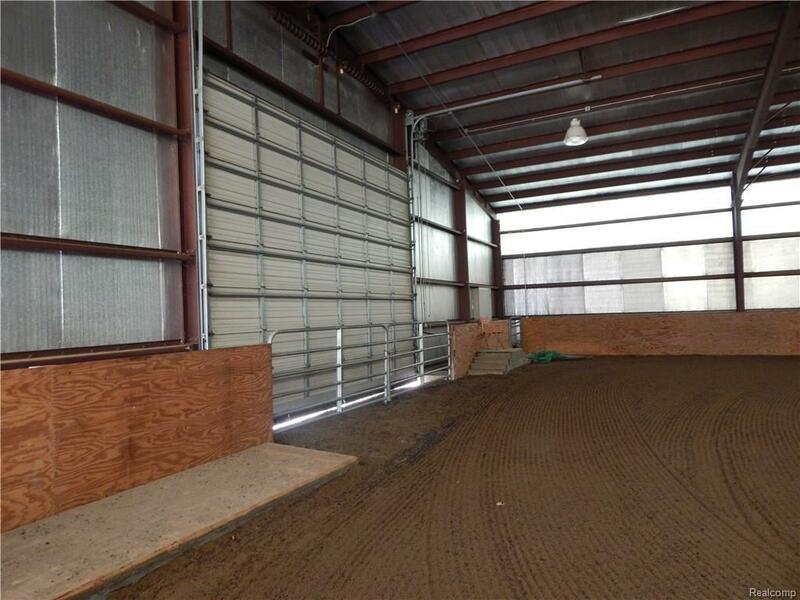 Overhead doors are 15' high/20'wide, entry doors 4' wide. 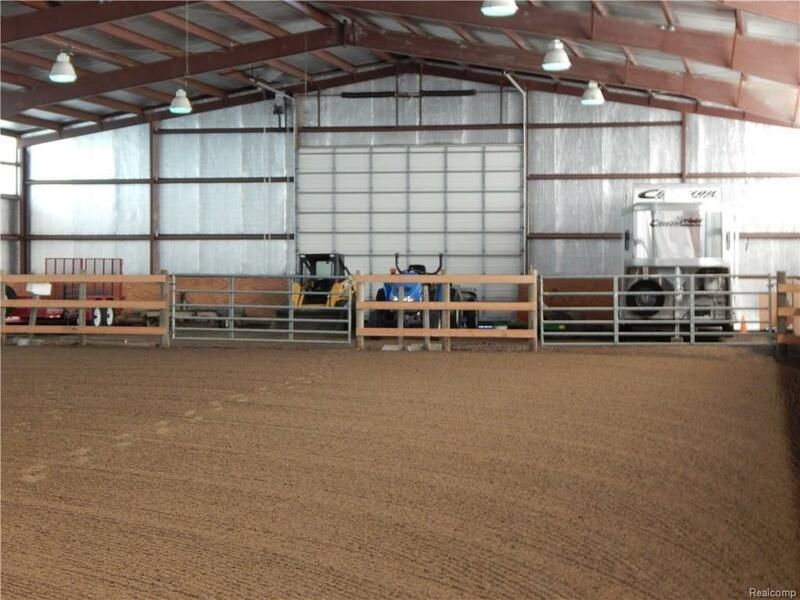 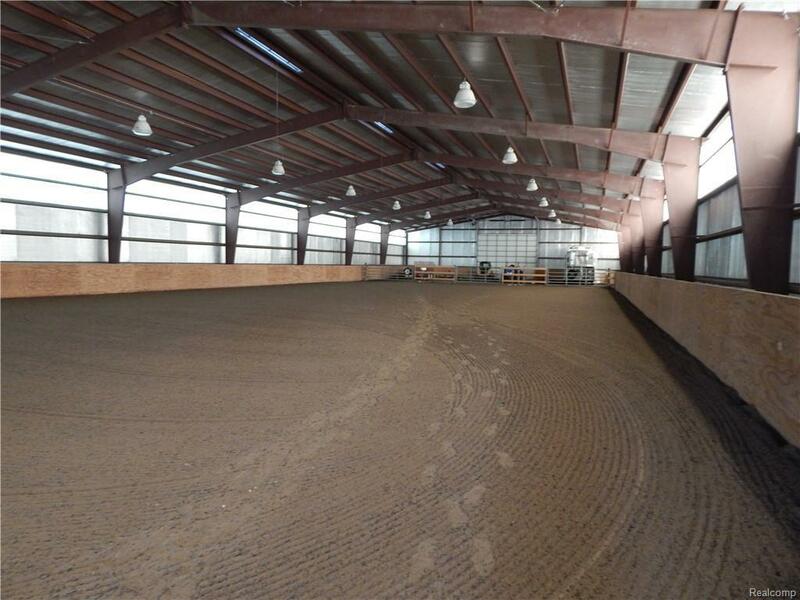 Indoor arena is incredible, built for any riding discipline. 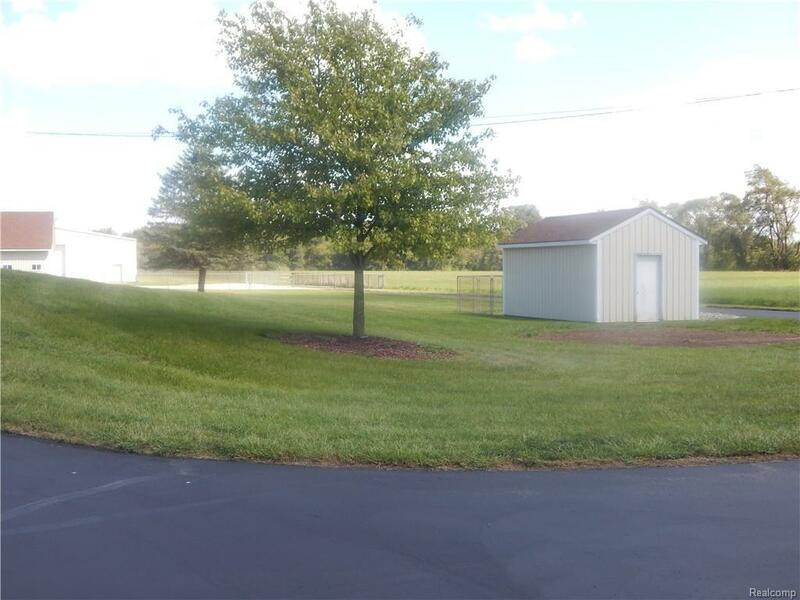 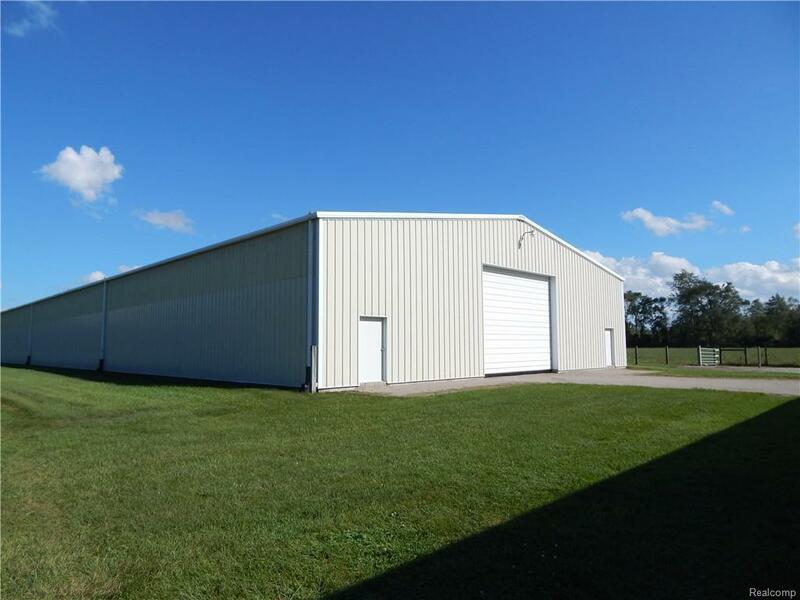 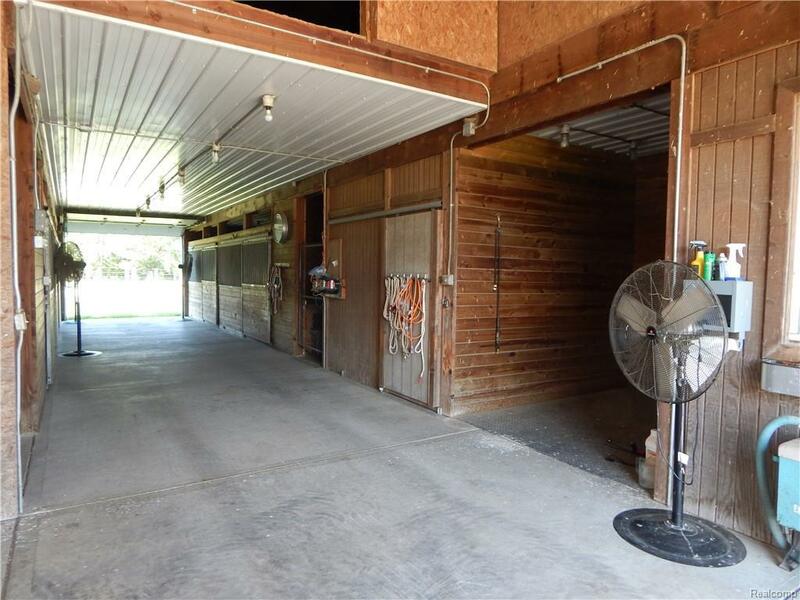 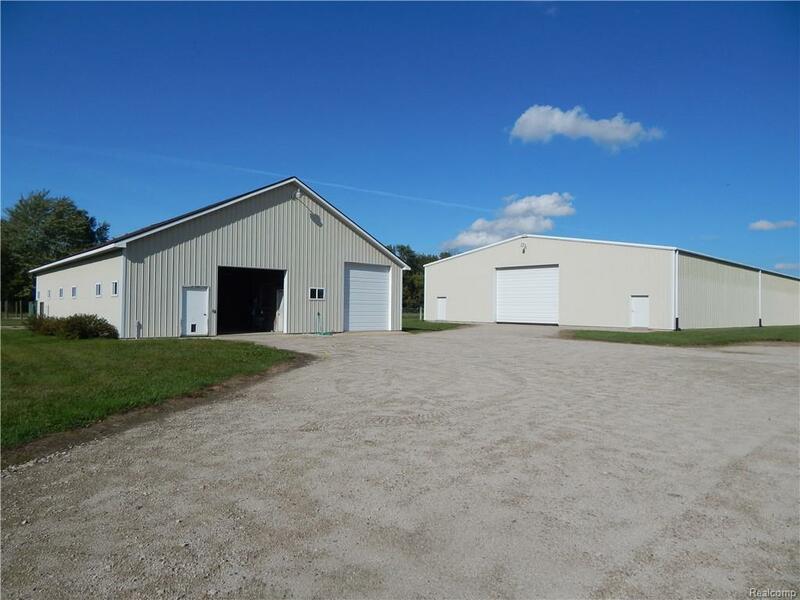 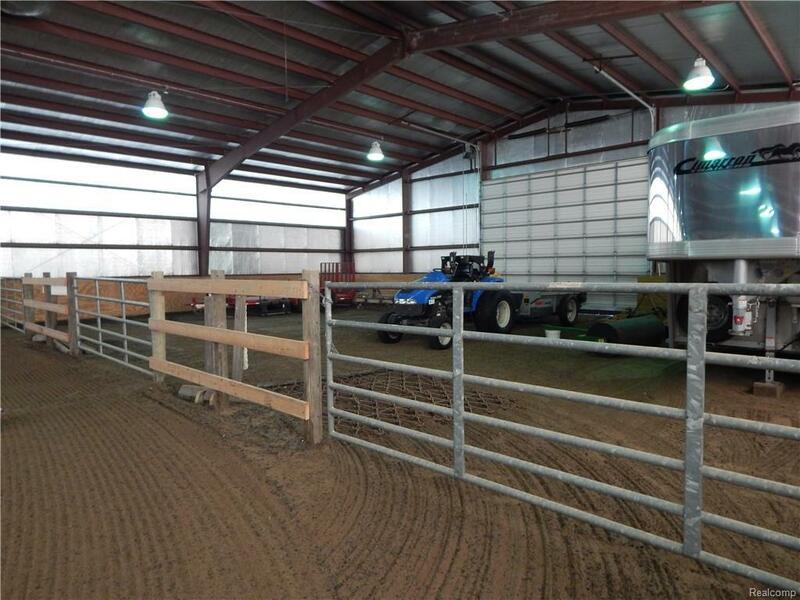 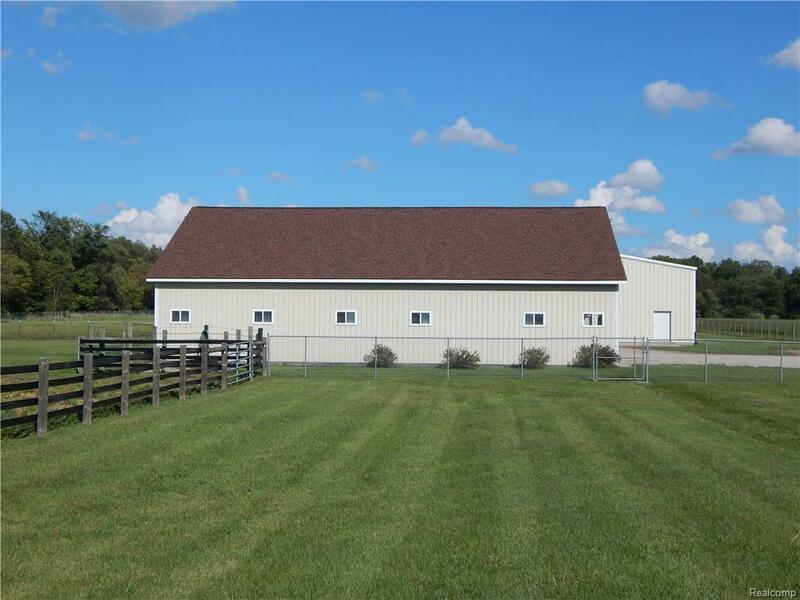 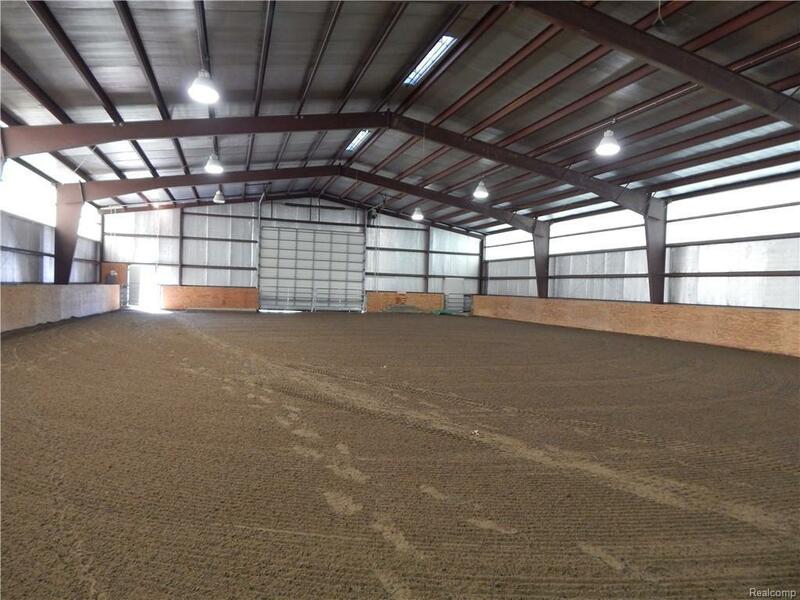 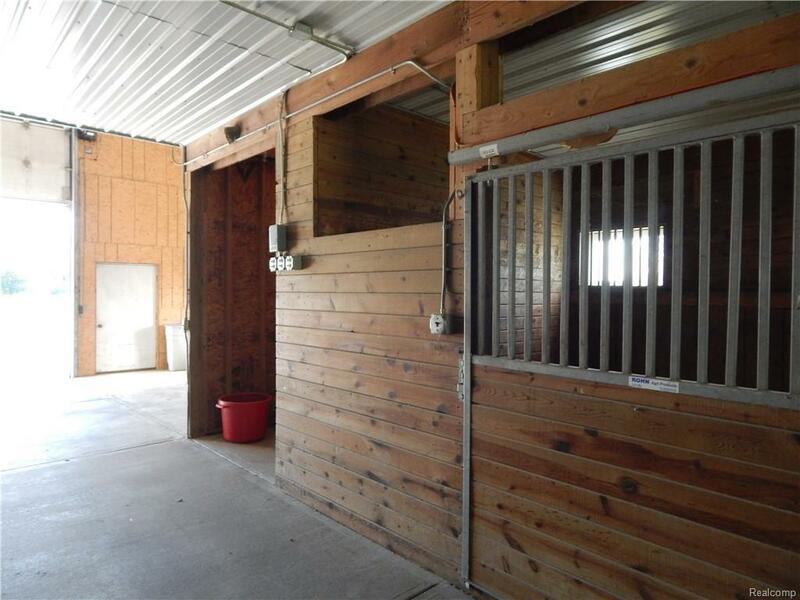 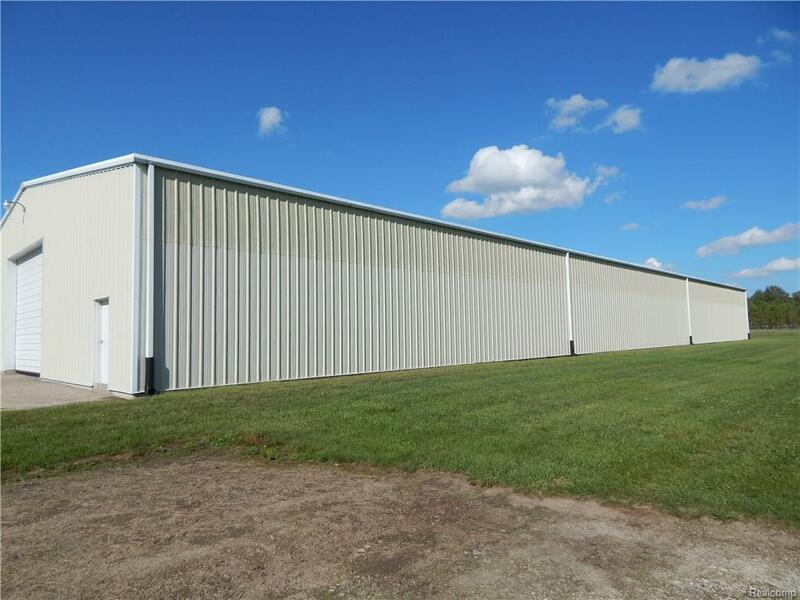 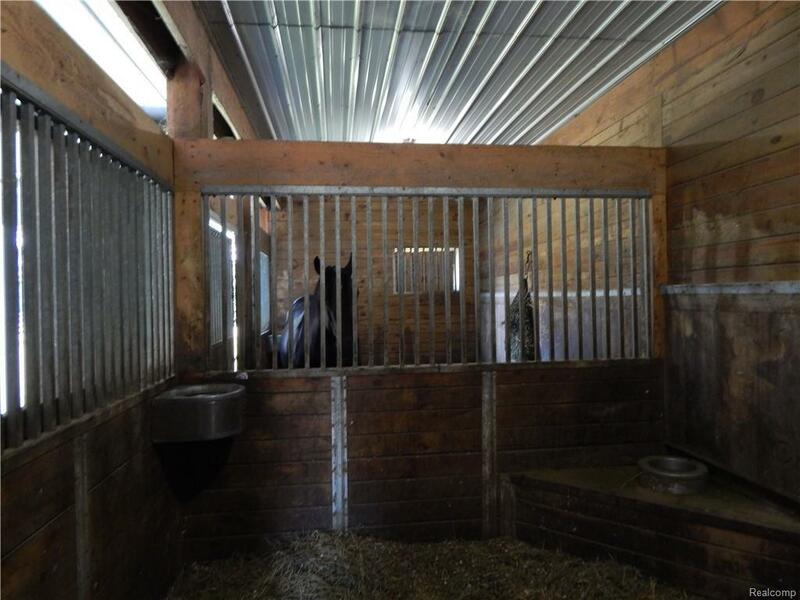 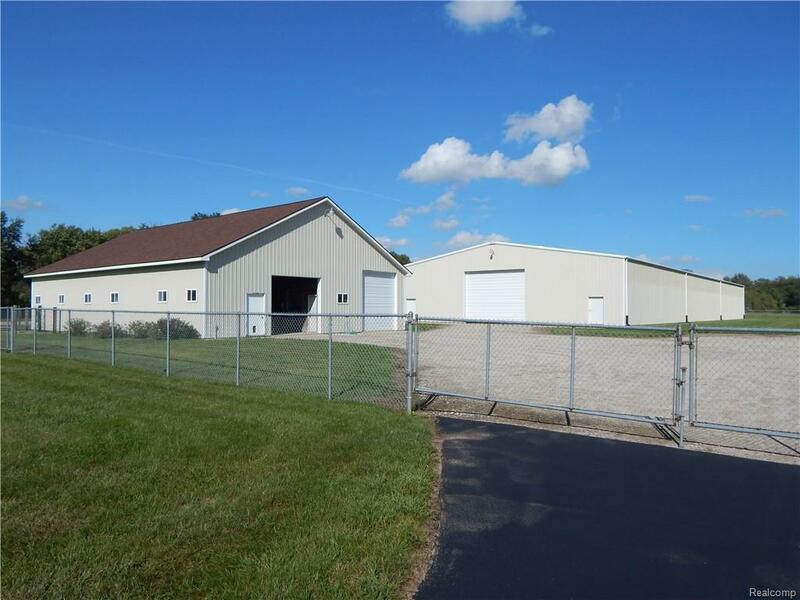 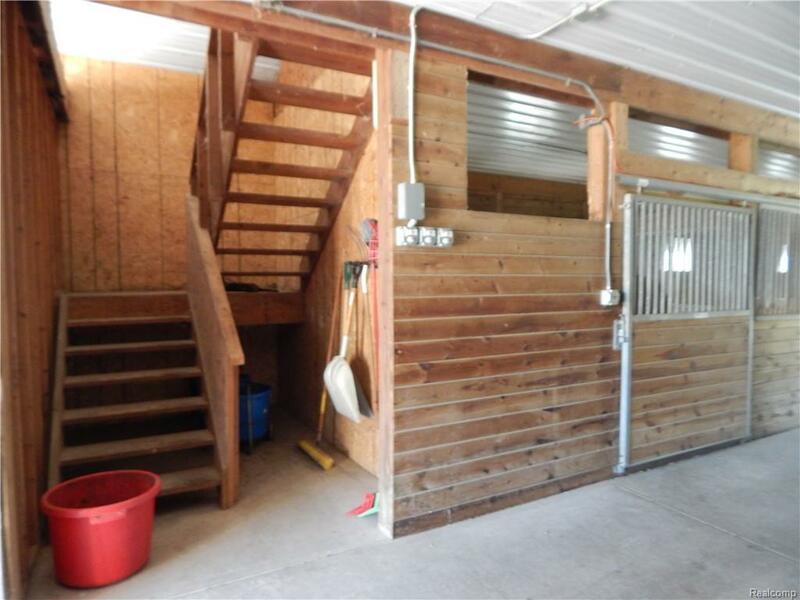 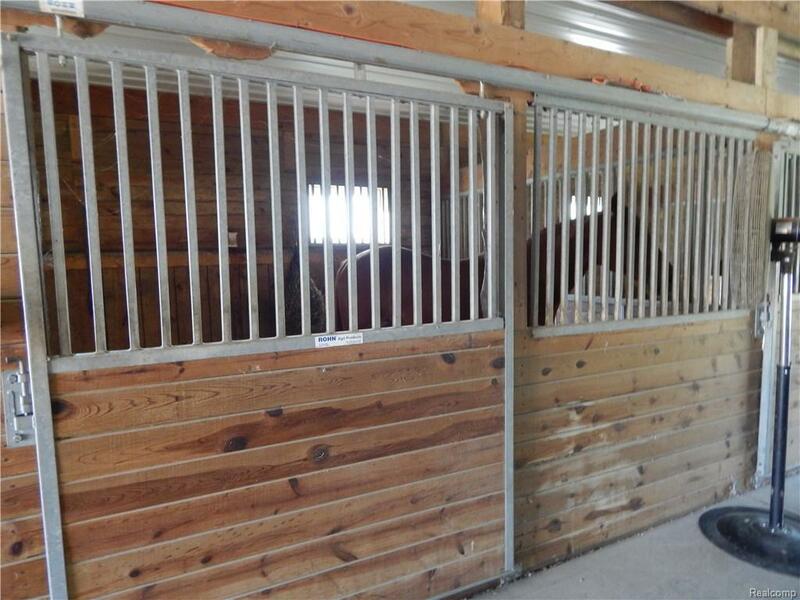 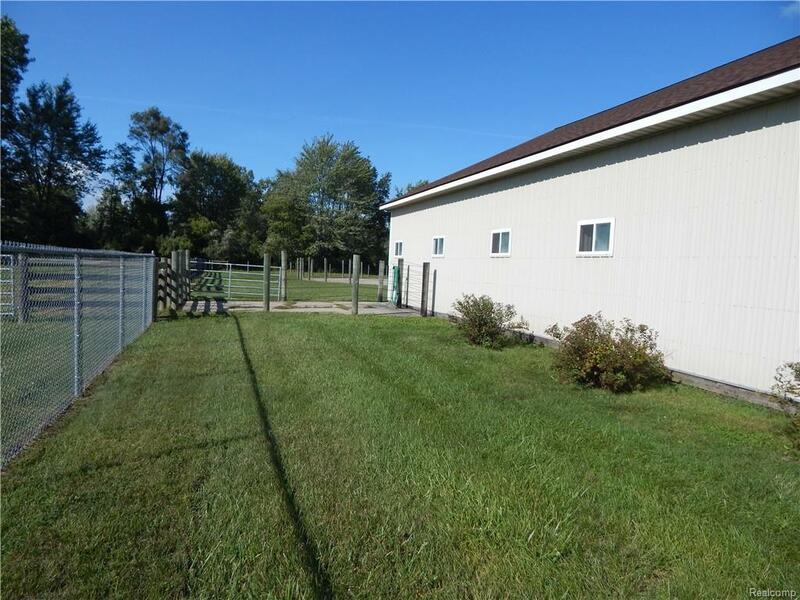 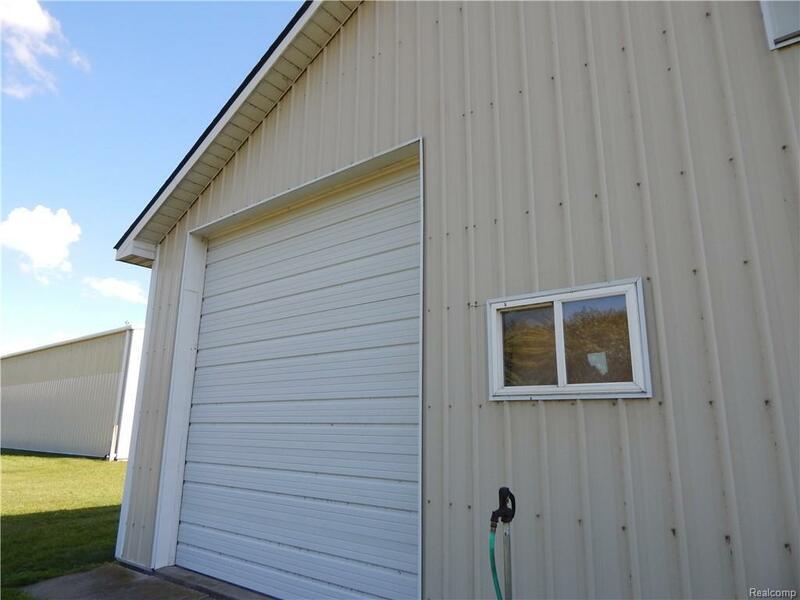 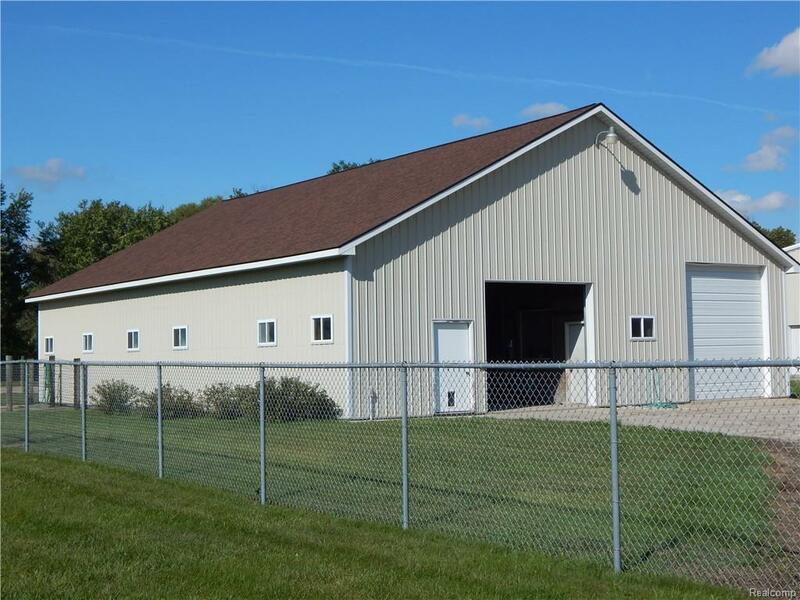 Horse barn is 48X66, 5 matted boxstalls, three 12X12s and two 10X14s, Nelson auto htd waterers, insulated horse area, tack/feed rooms, overhead hayloft/650-850 bales, separate area for trailer/RV stg w cement floor. 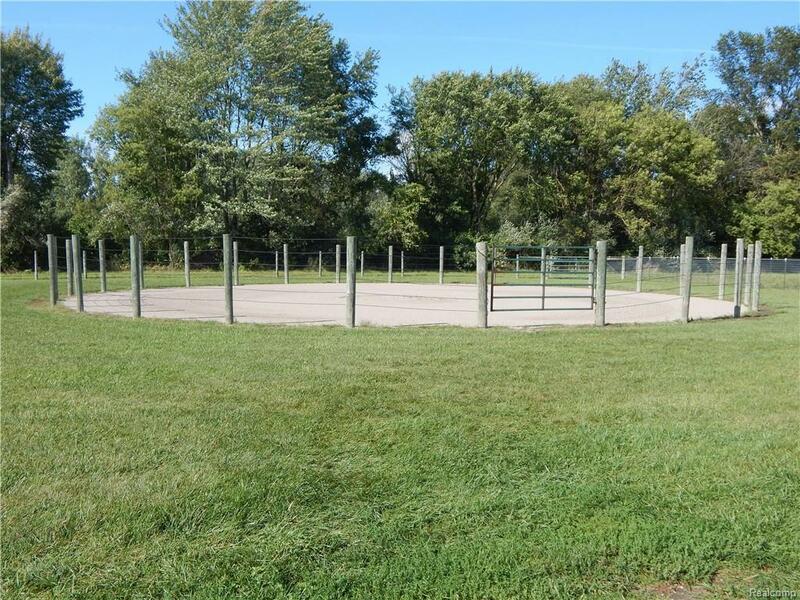 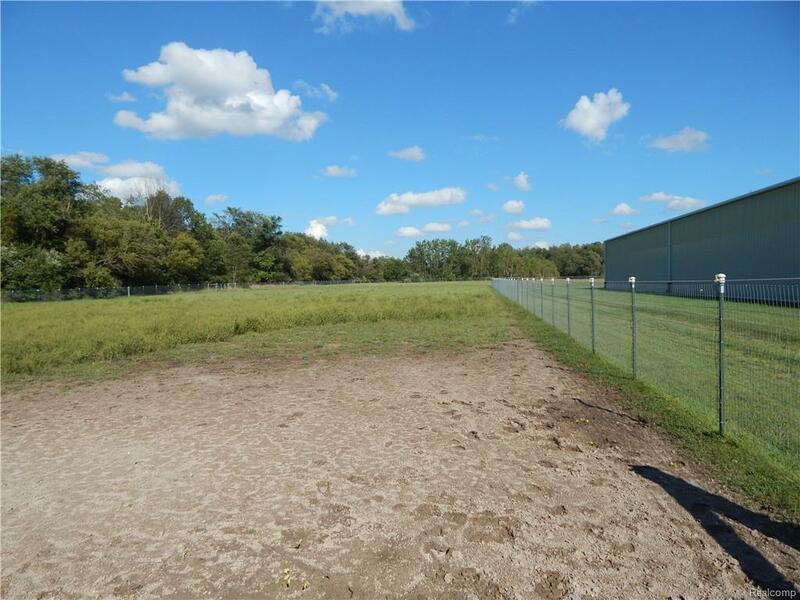 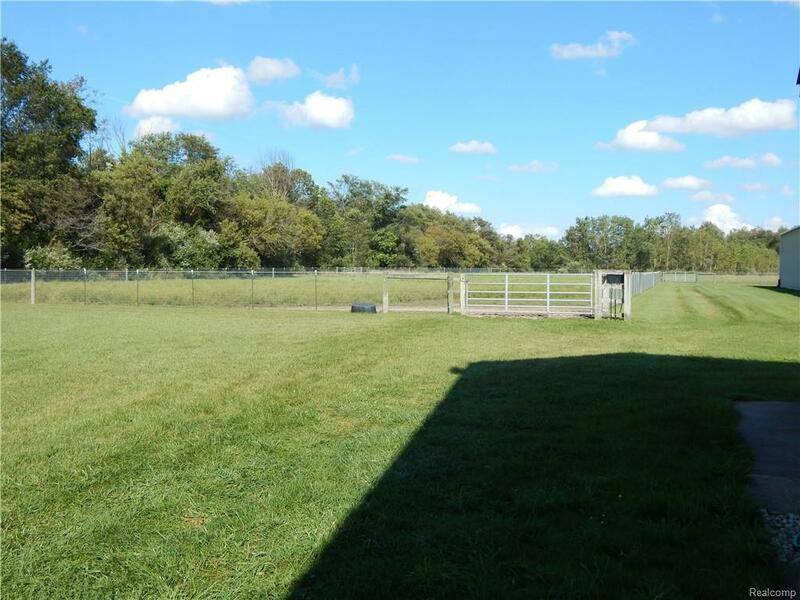 70' round pen, fenced paddock/pasture. 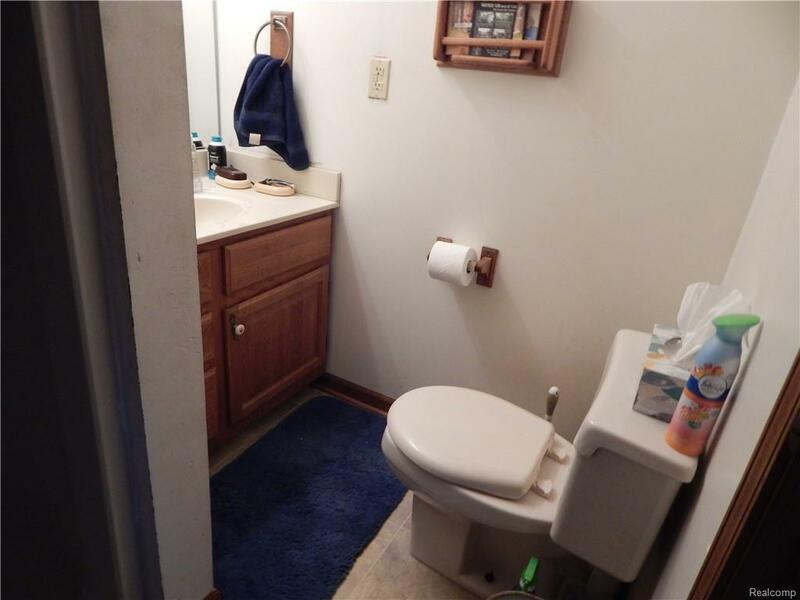 Immaculate/well-maintained. 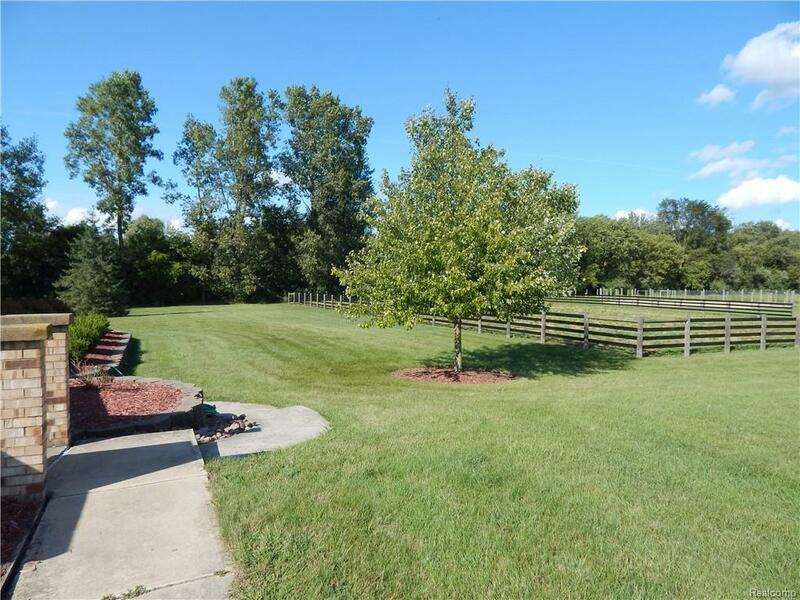 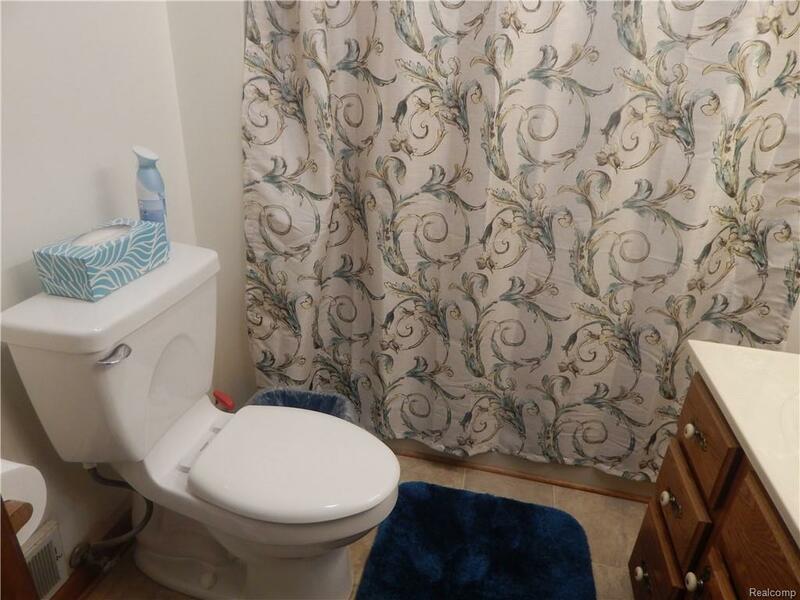 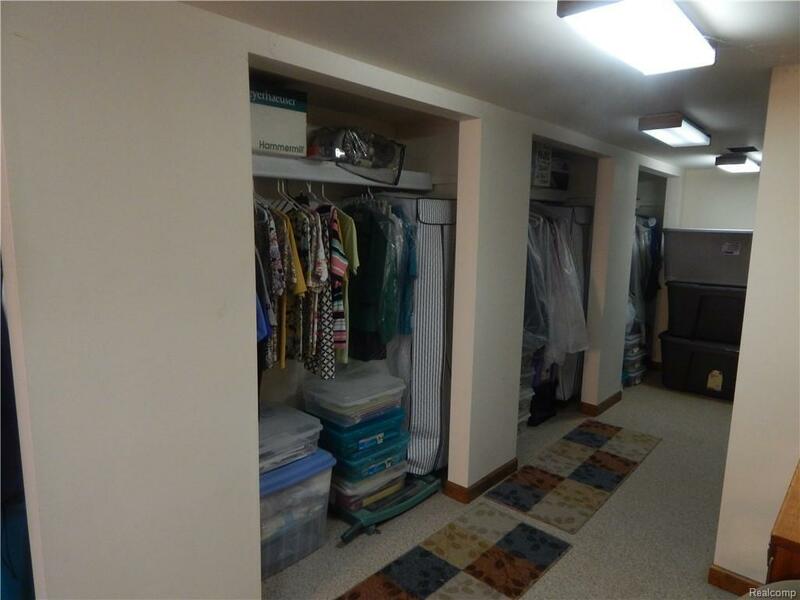 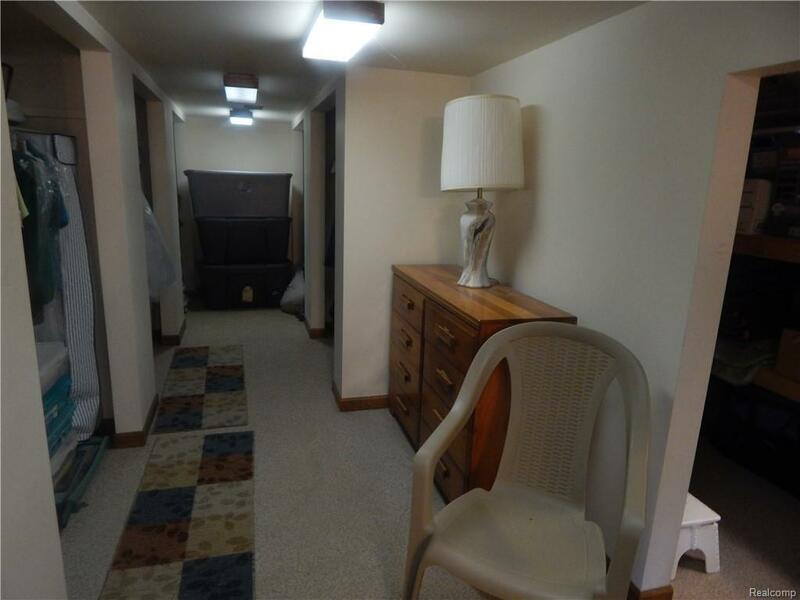 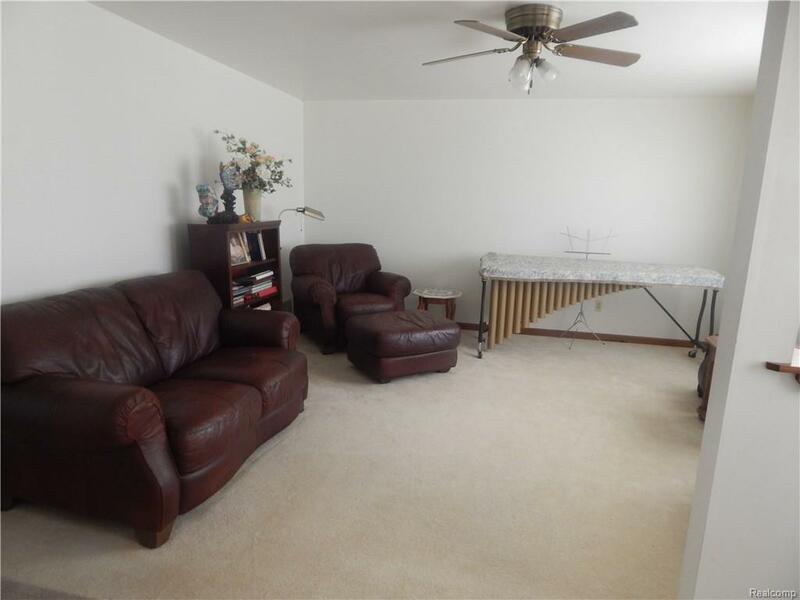 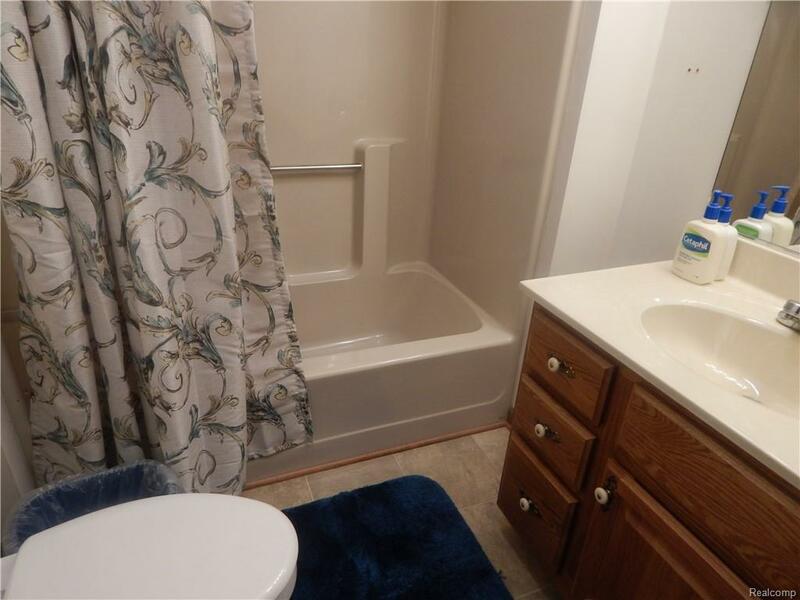 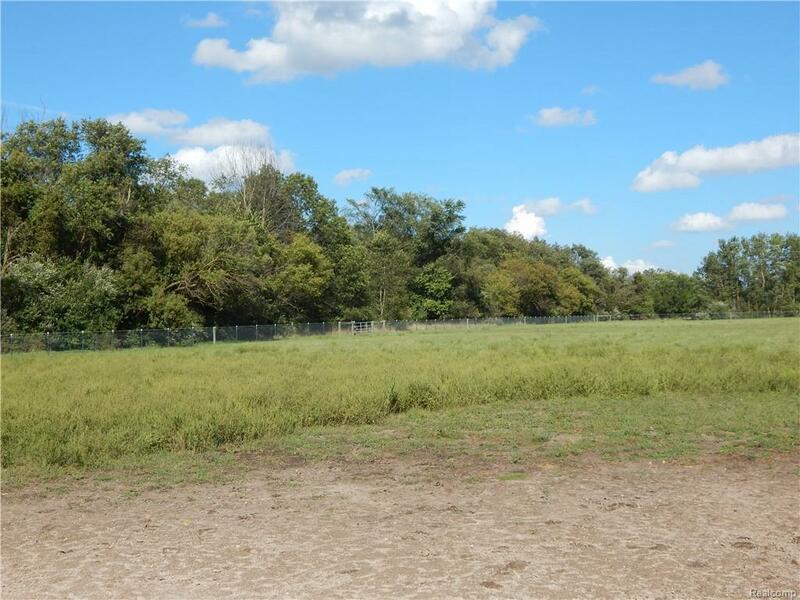 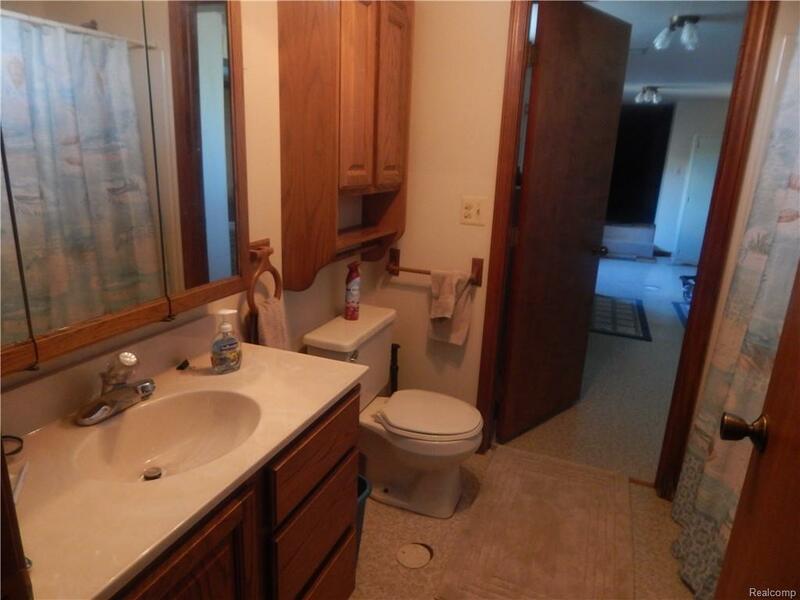 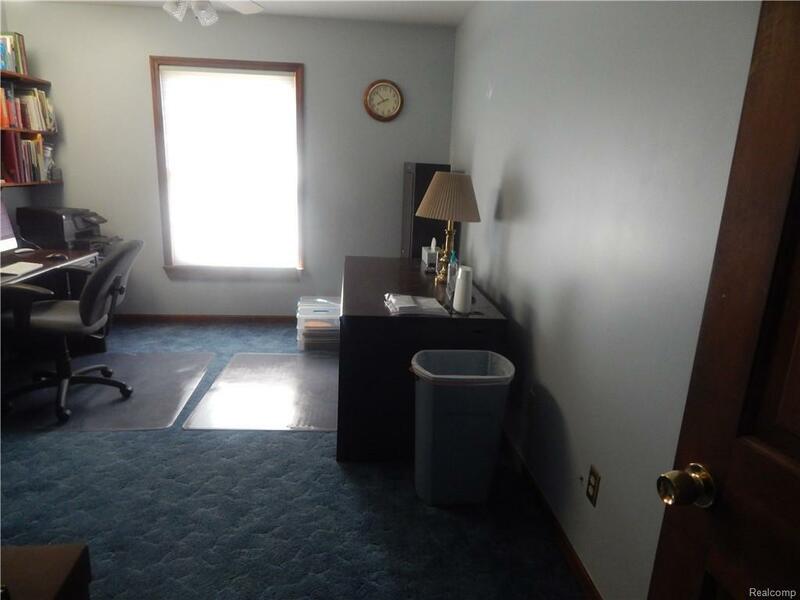 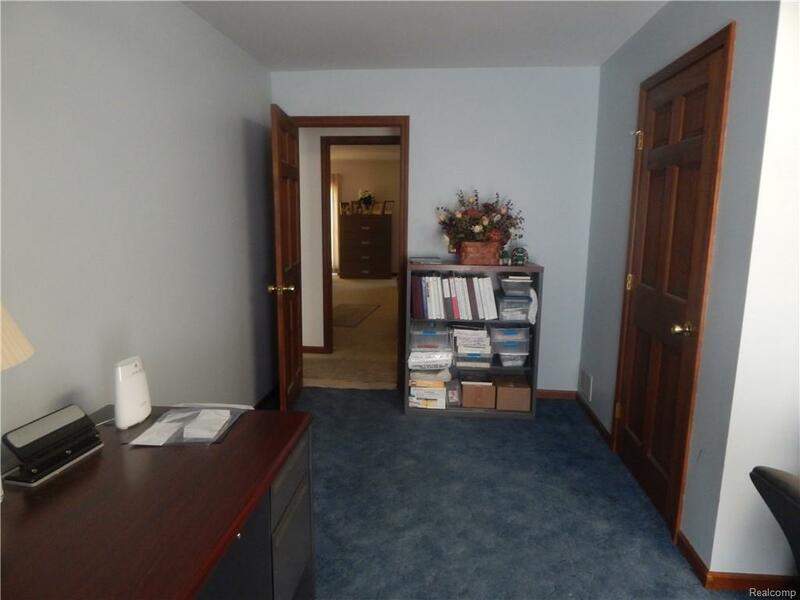 Easy access to I94/US23/I275/Metro Airport.